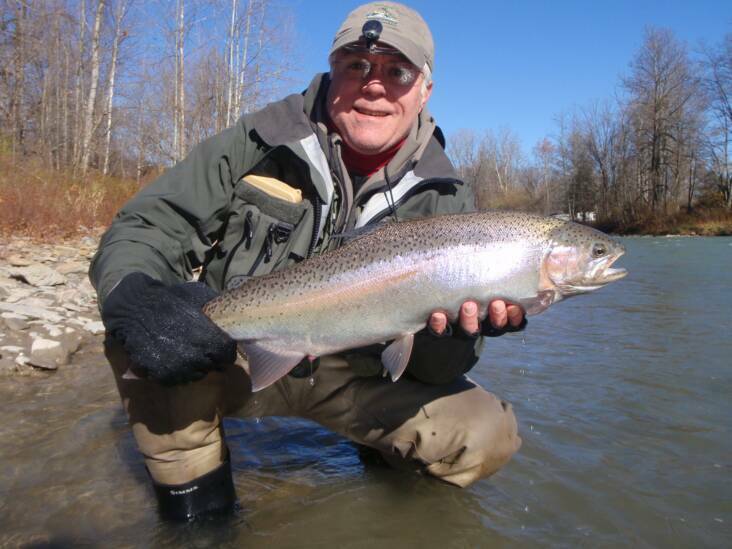 We all have a lot to be thankful for this holiday season. 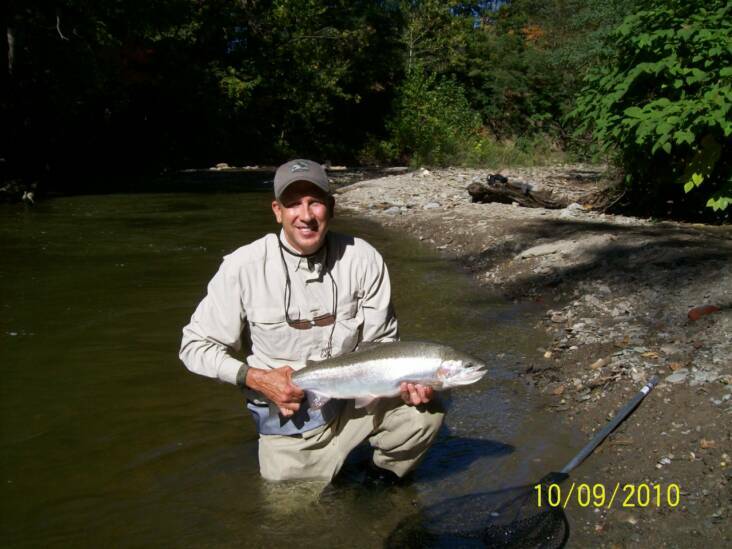 Family, friends, health and this great country we live in. 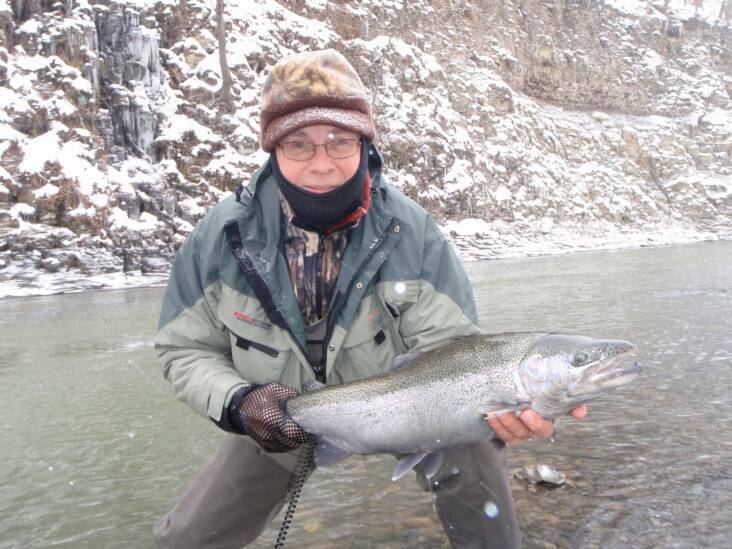 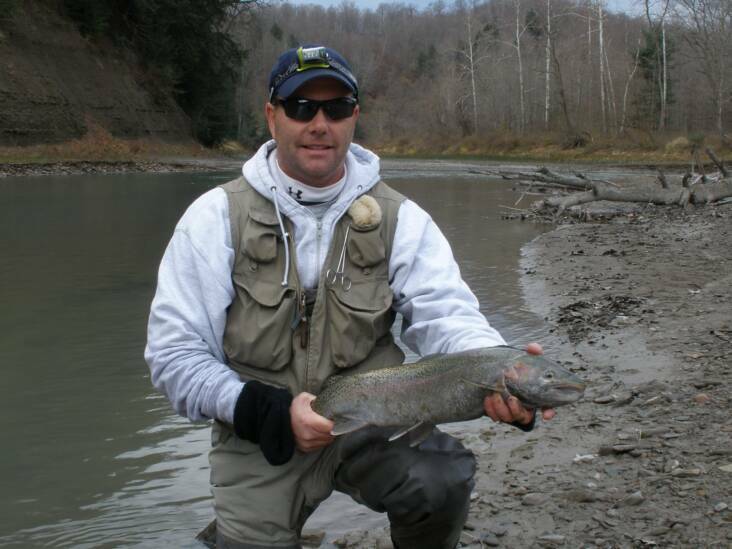 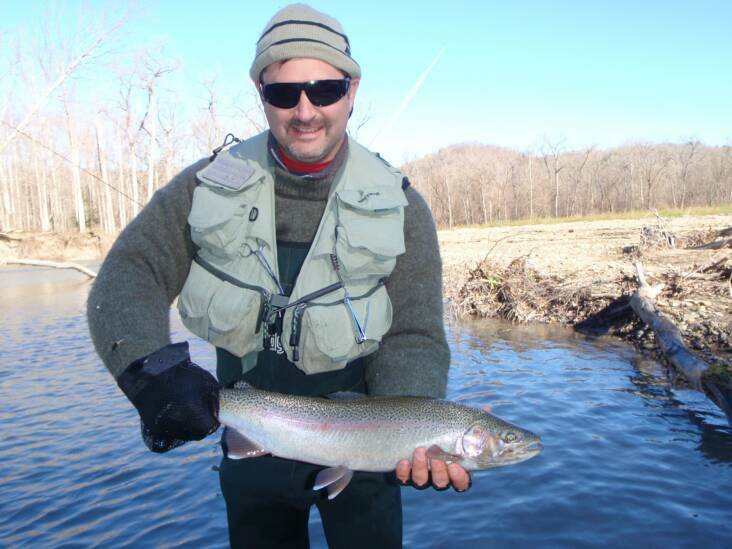 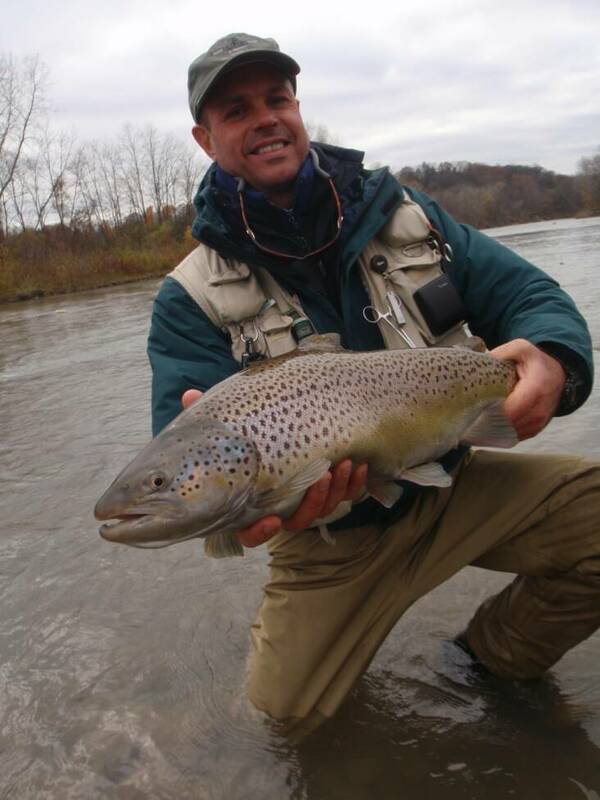 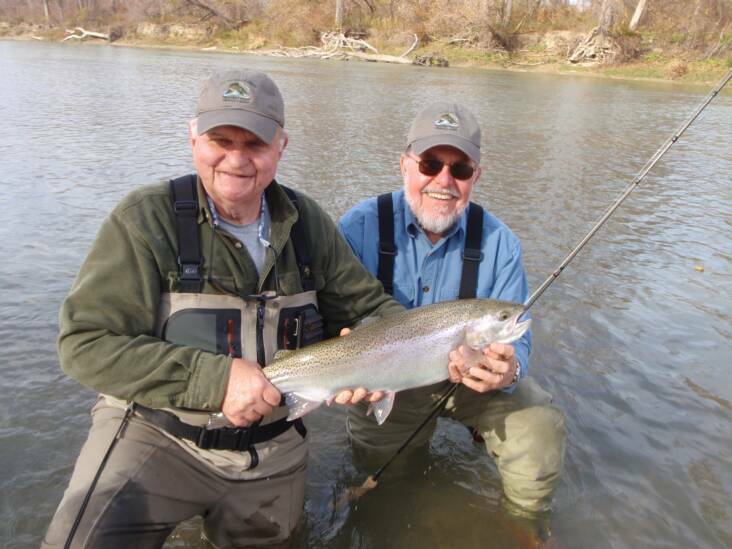 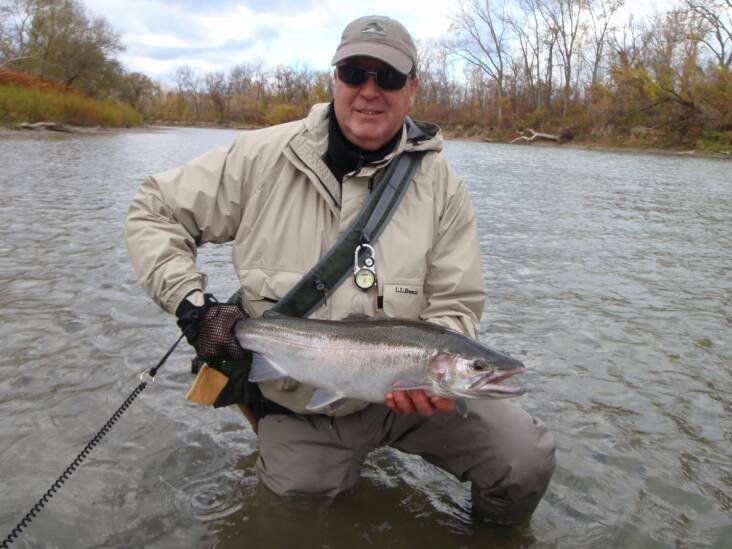 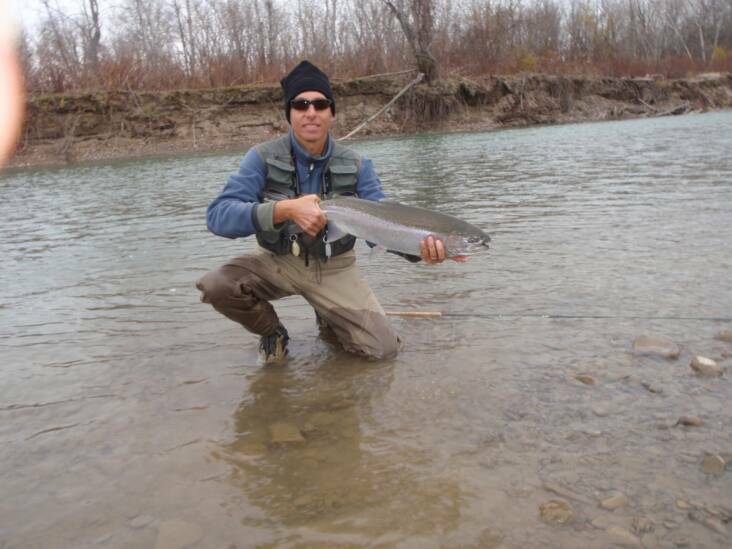 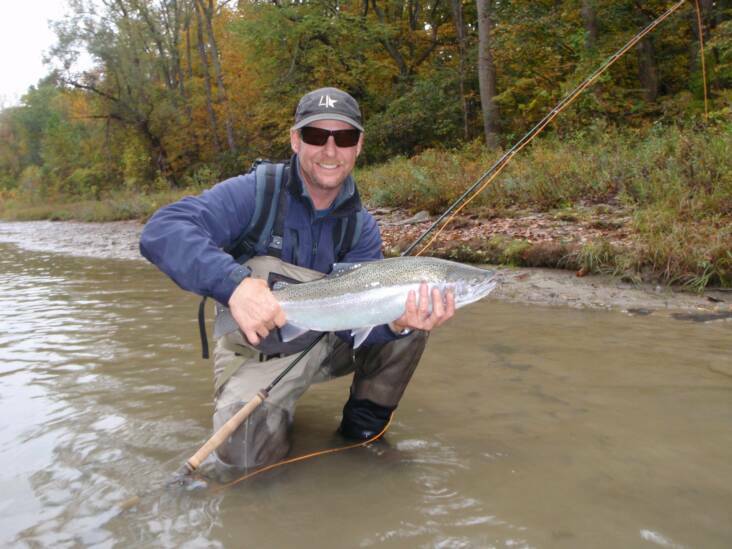 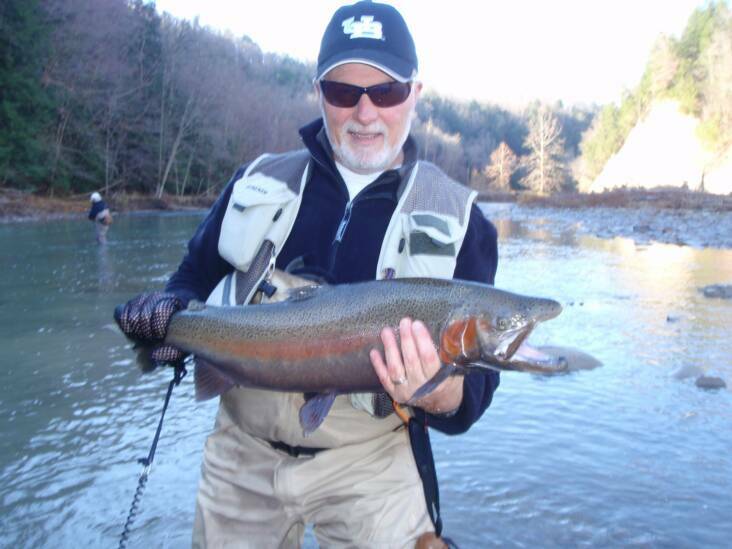 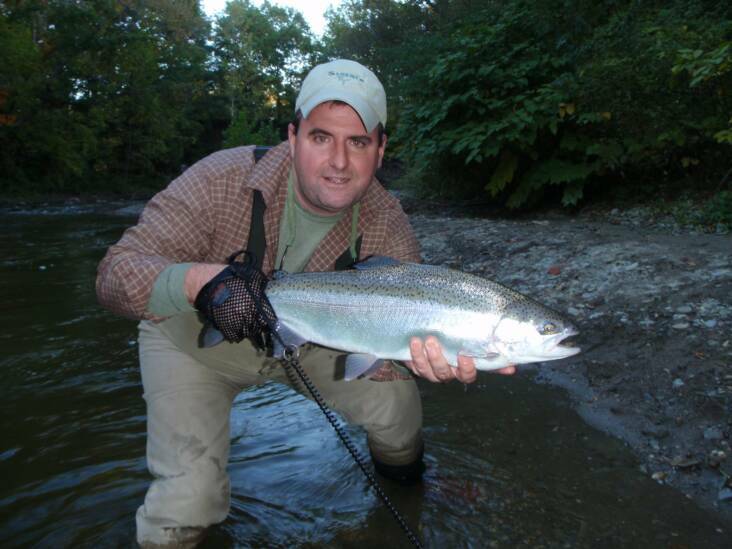 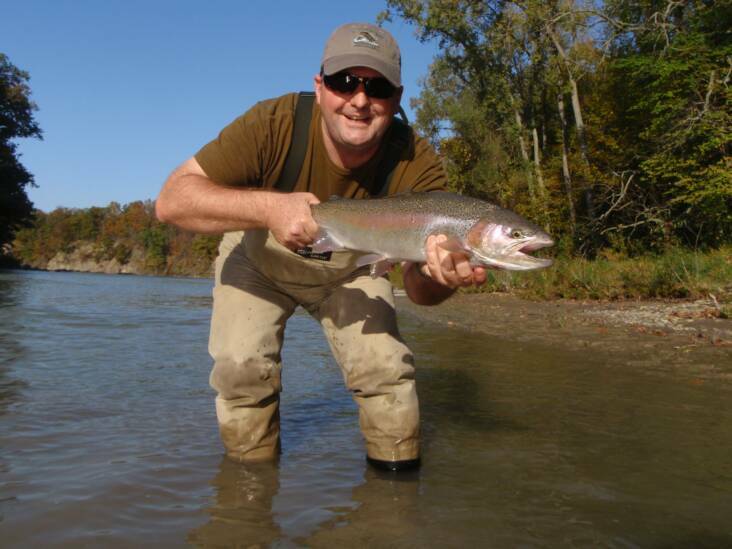 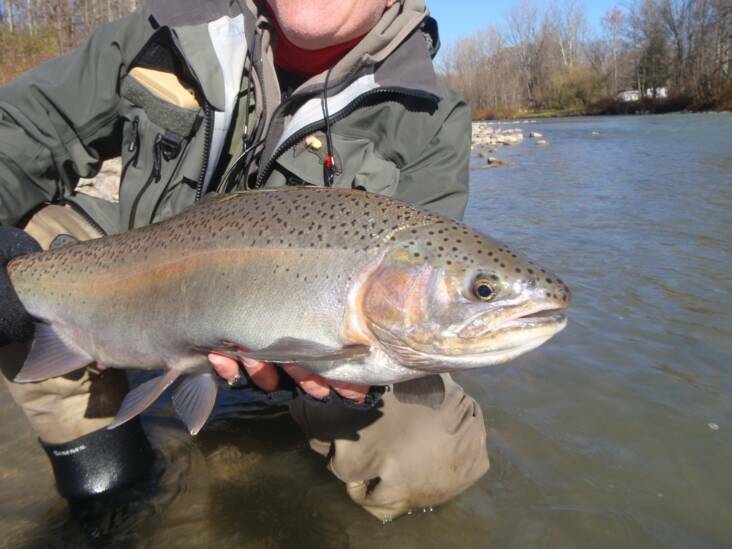 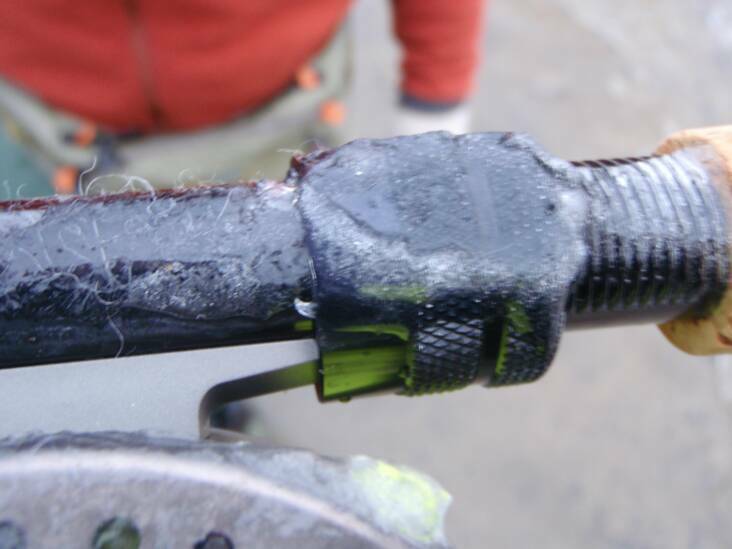 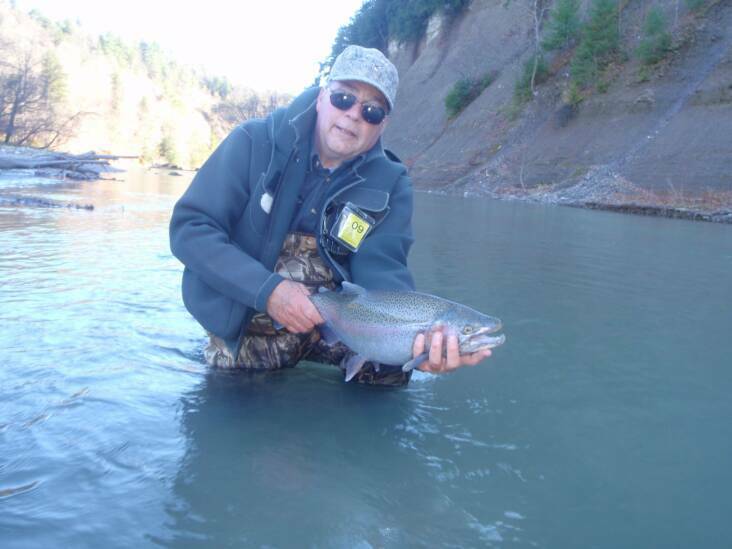 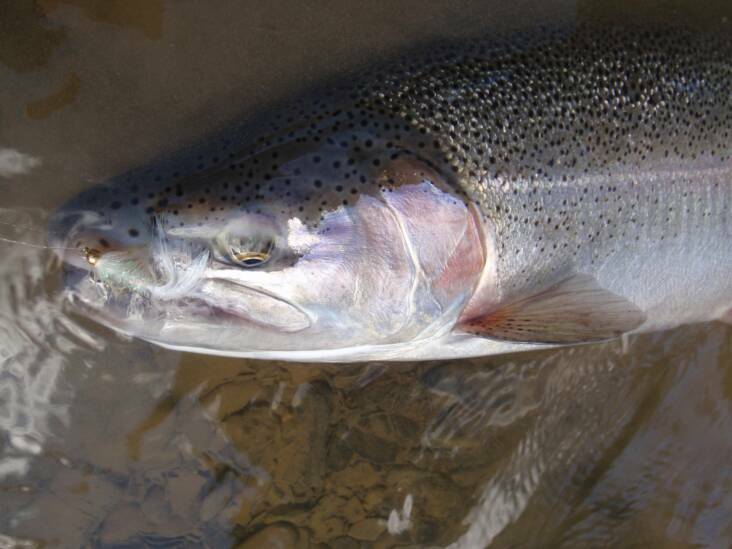 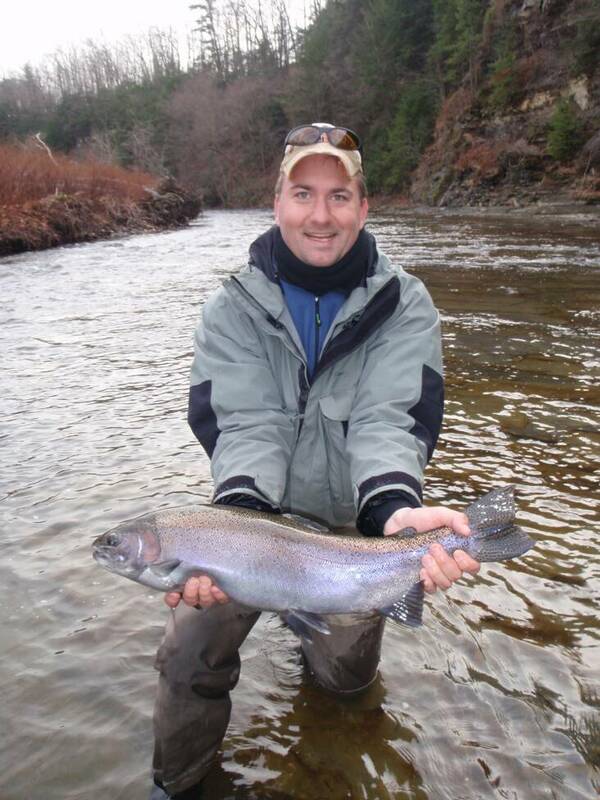 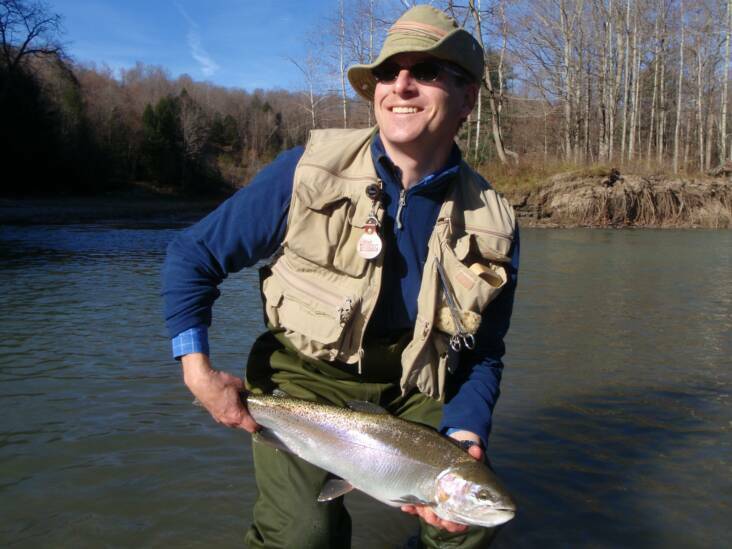 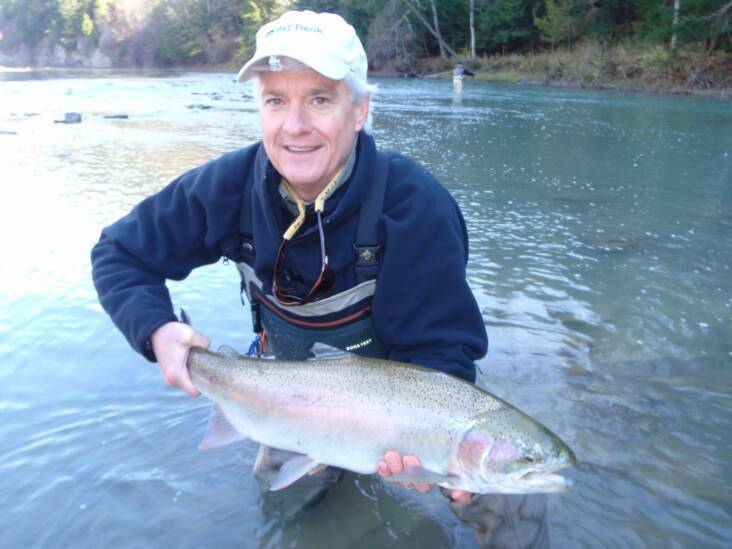 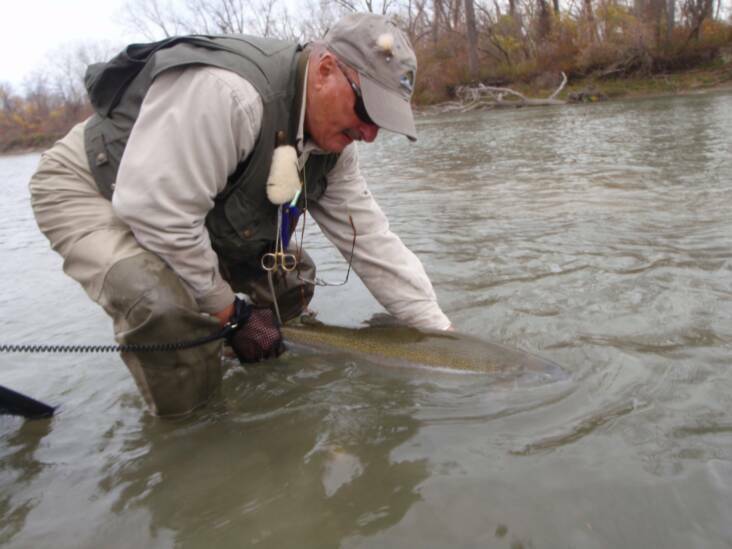 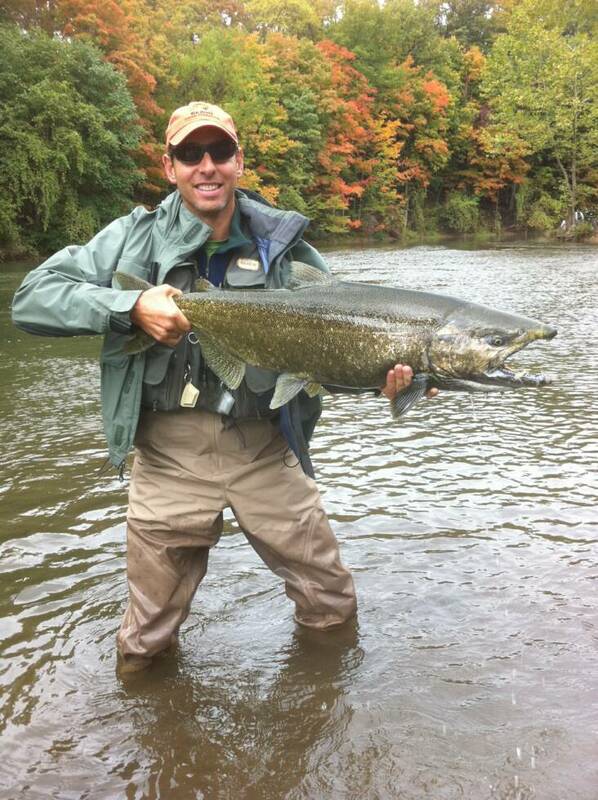 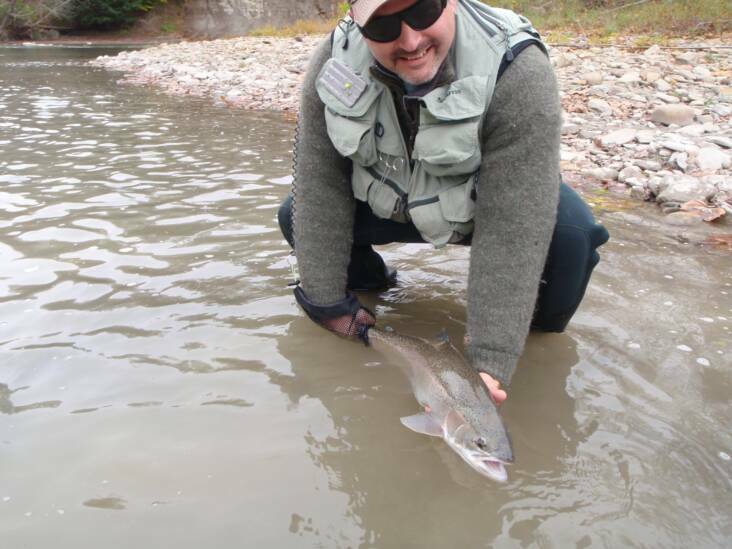 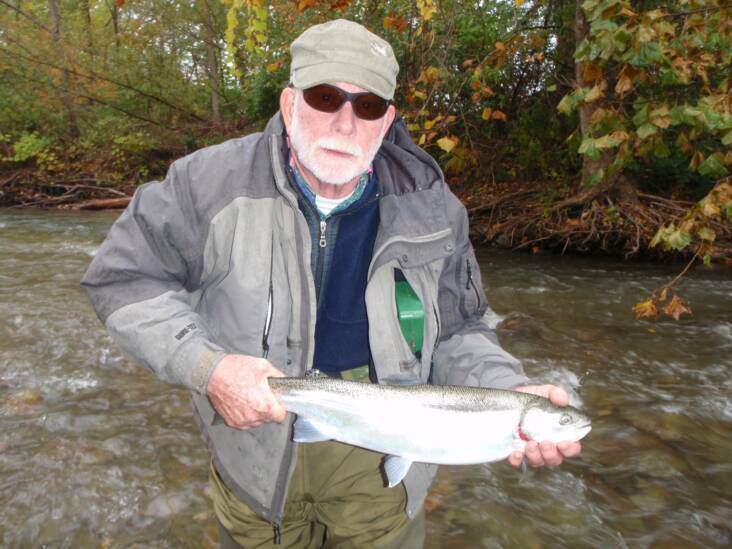 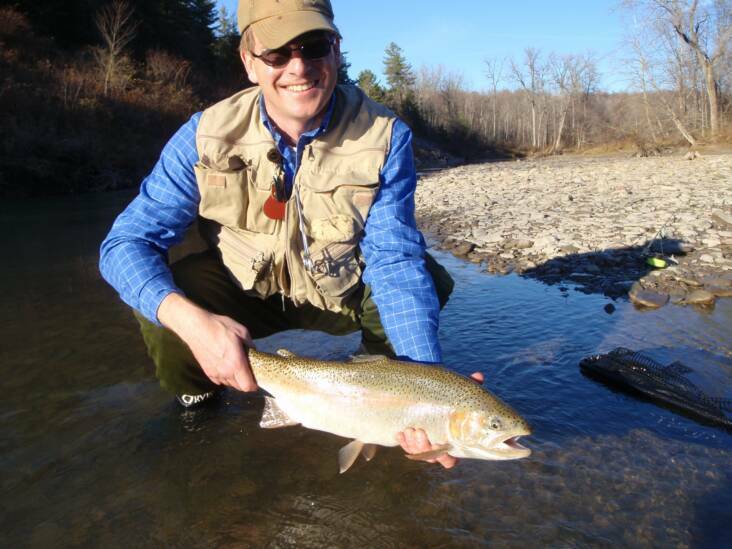 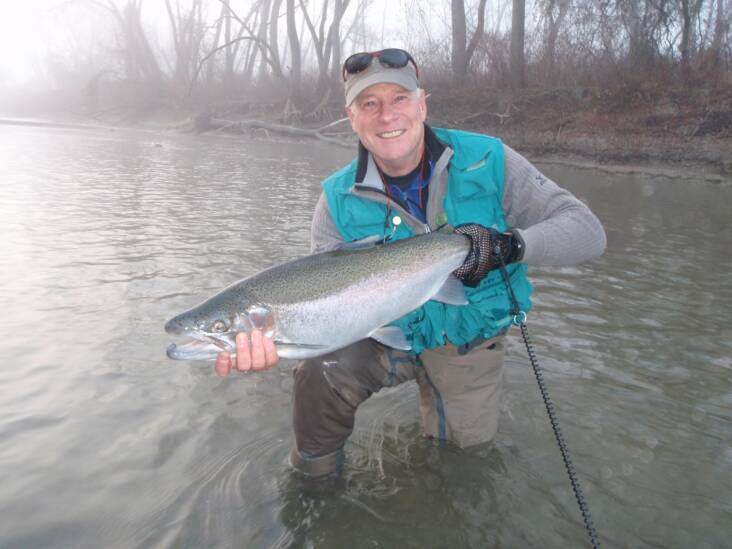 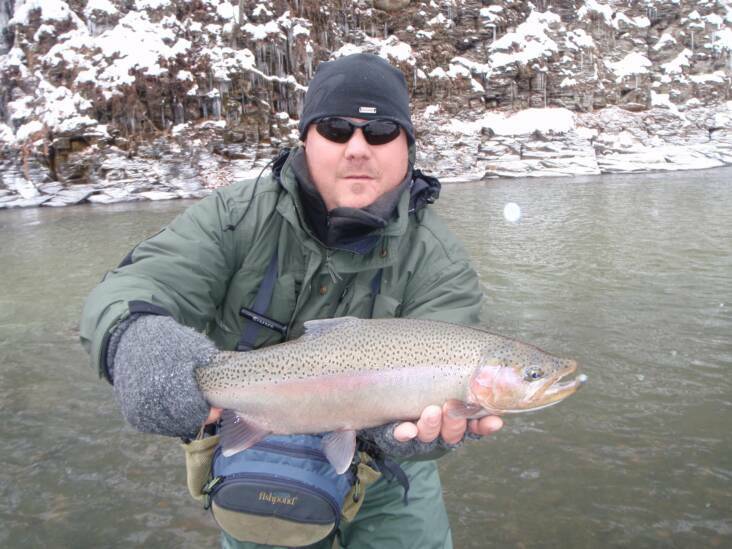 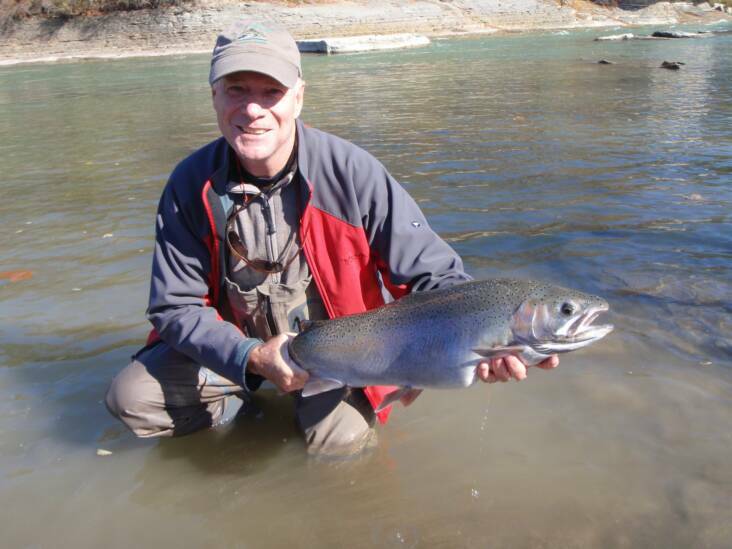 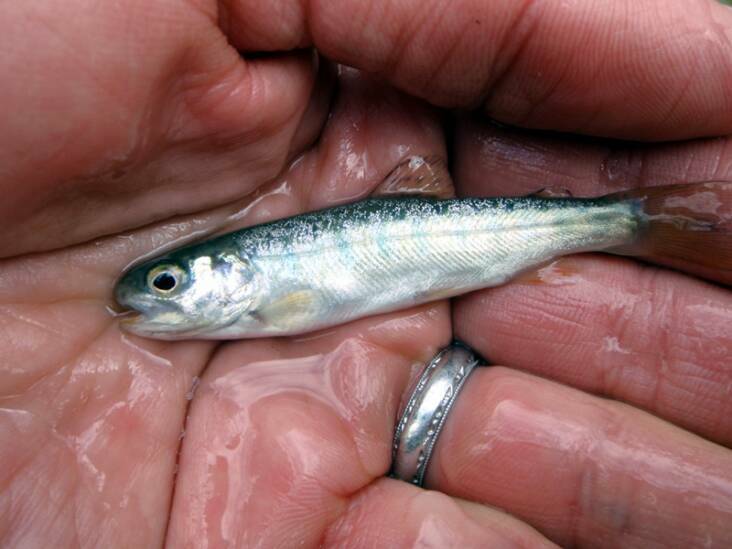 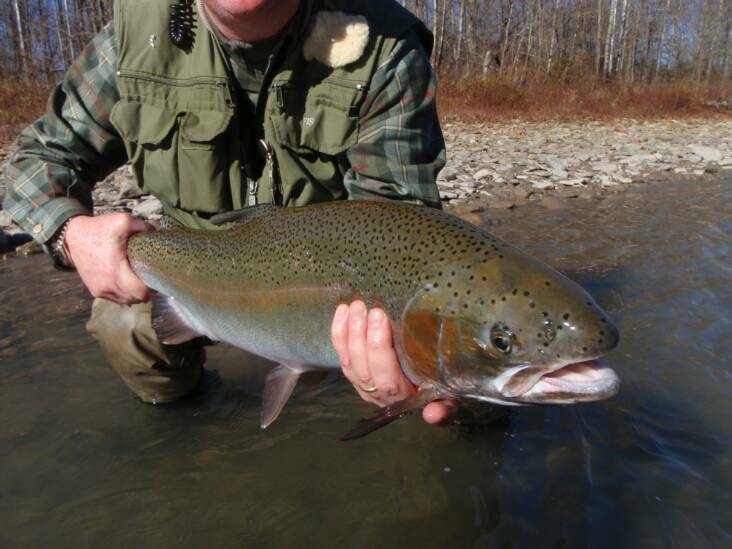 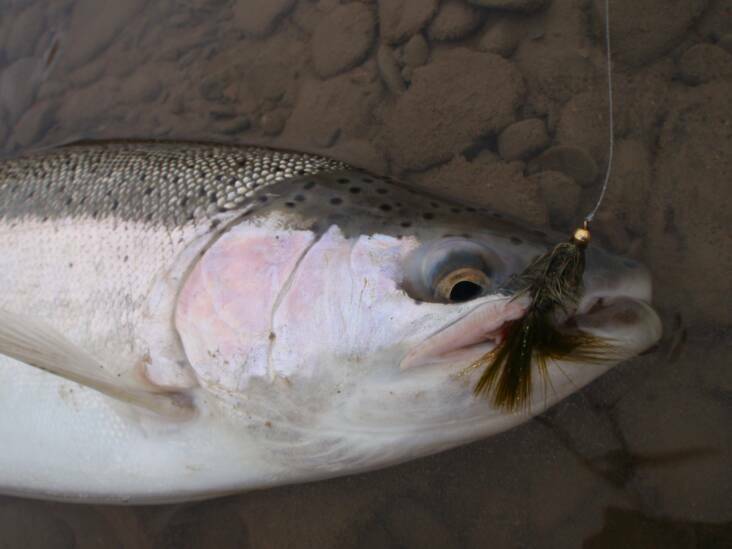 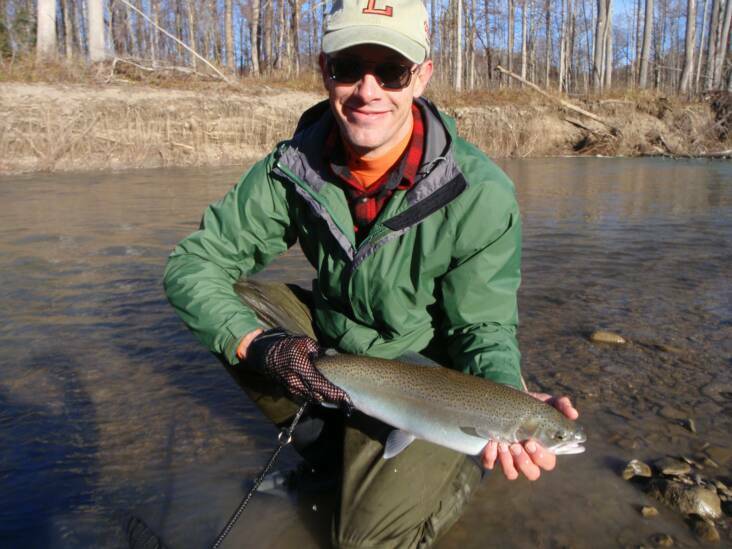 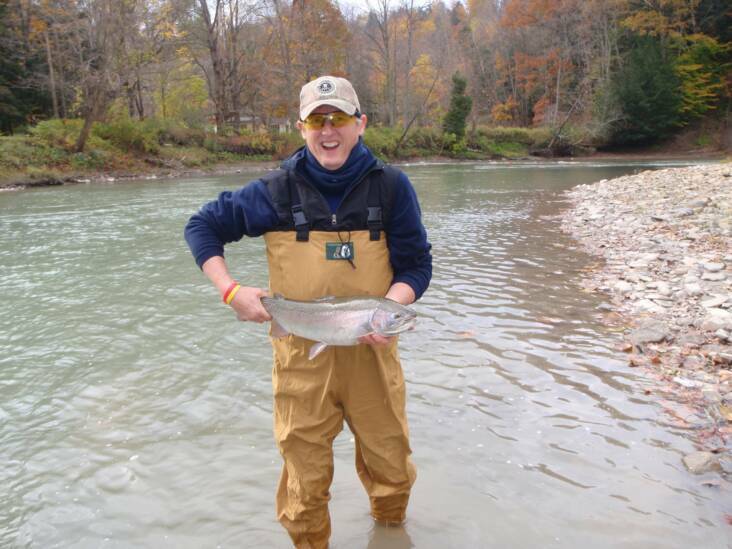 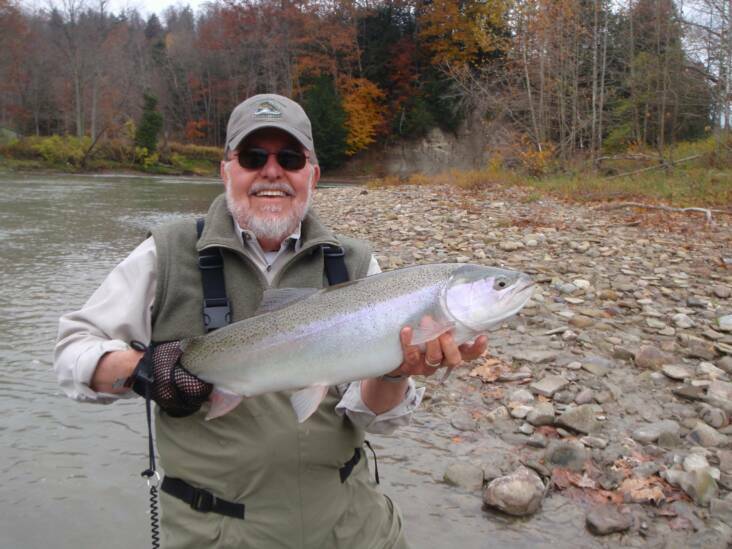 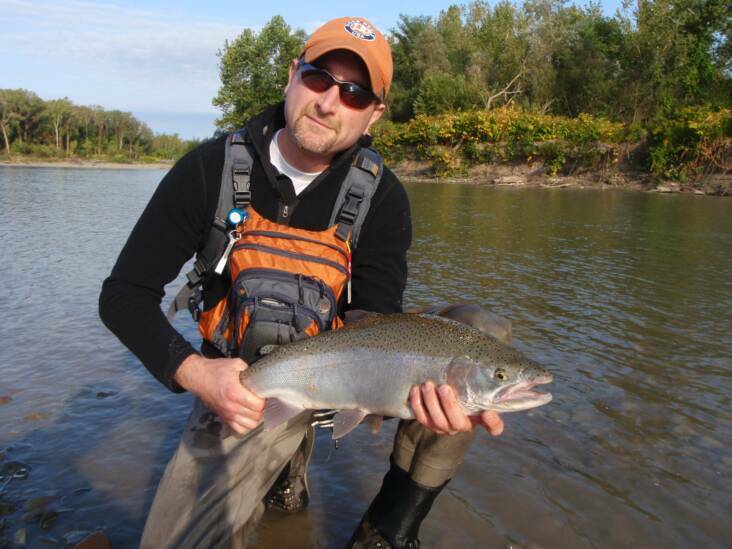 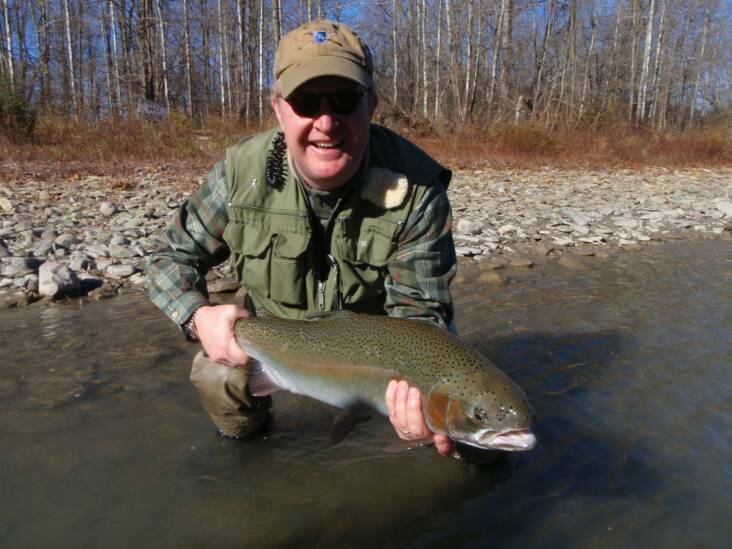 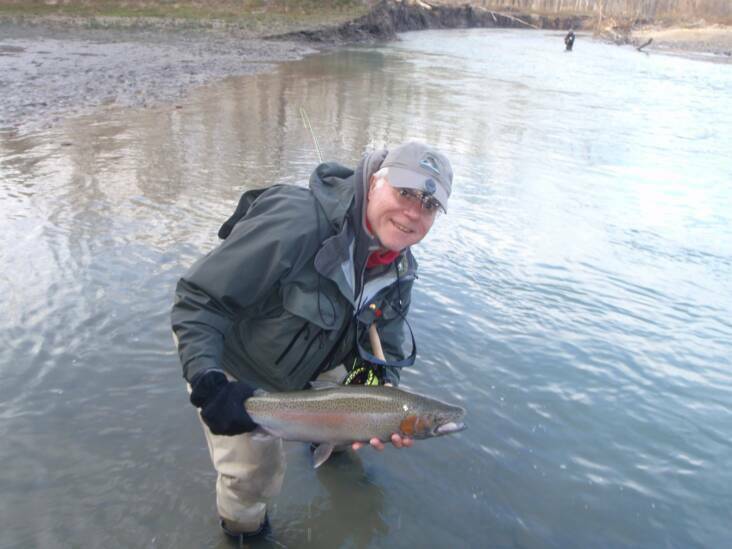 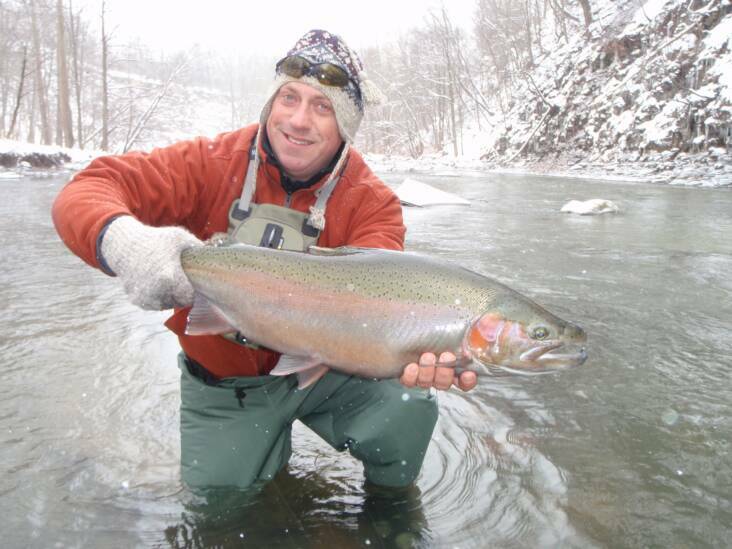 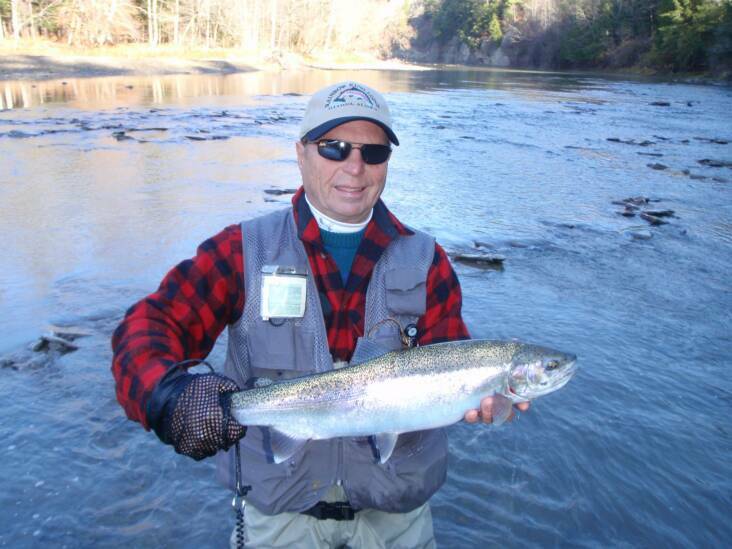 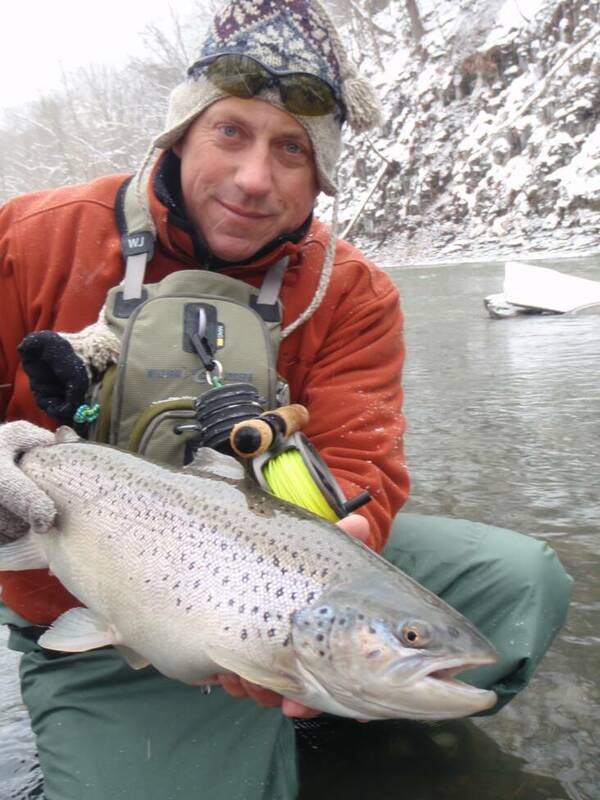 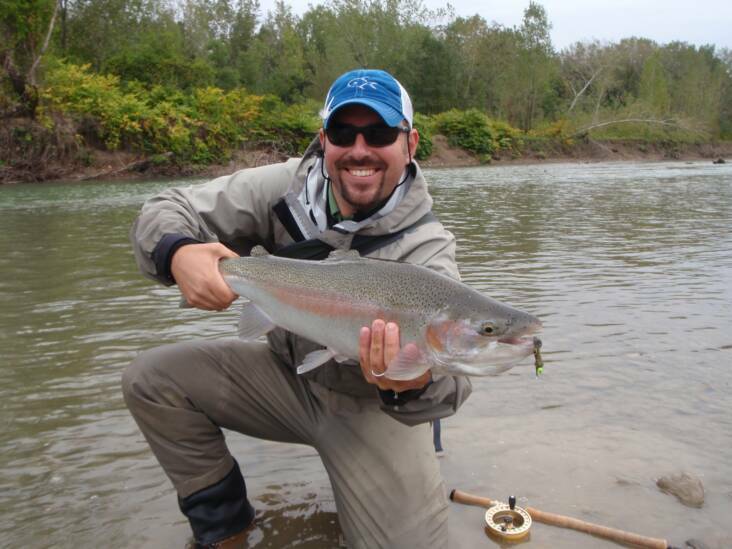 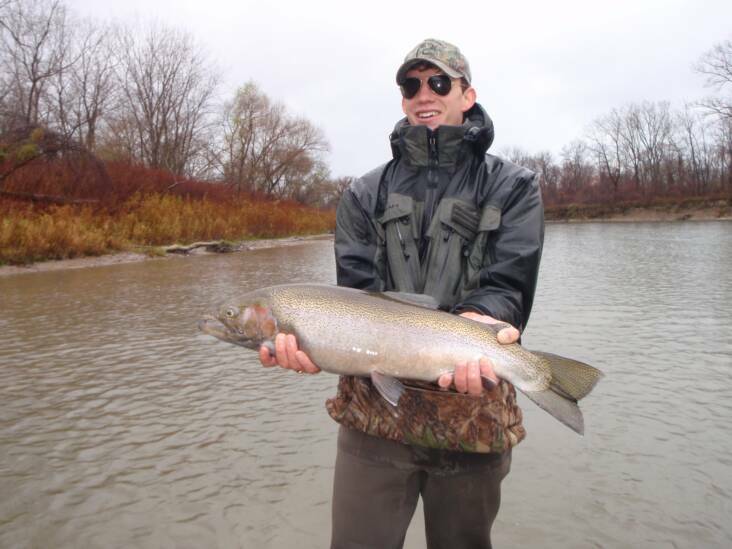 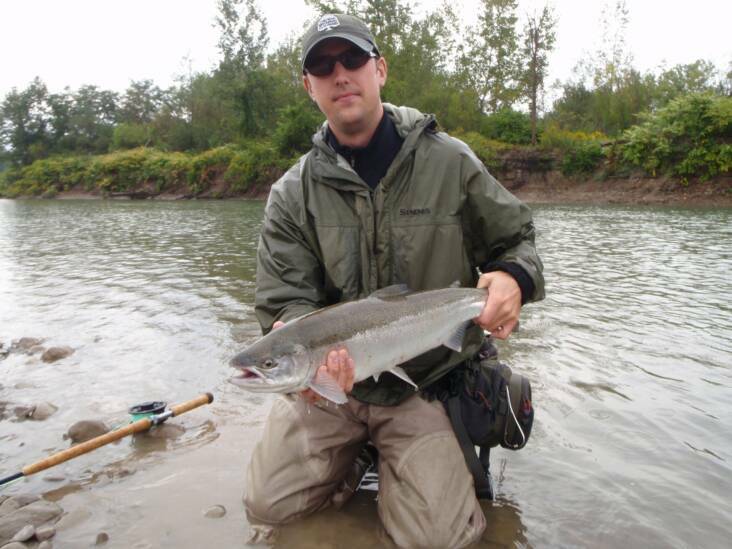 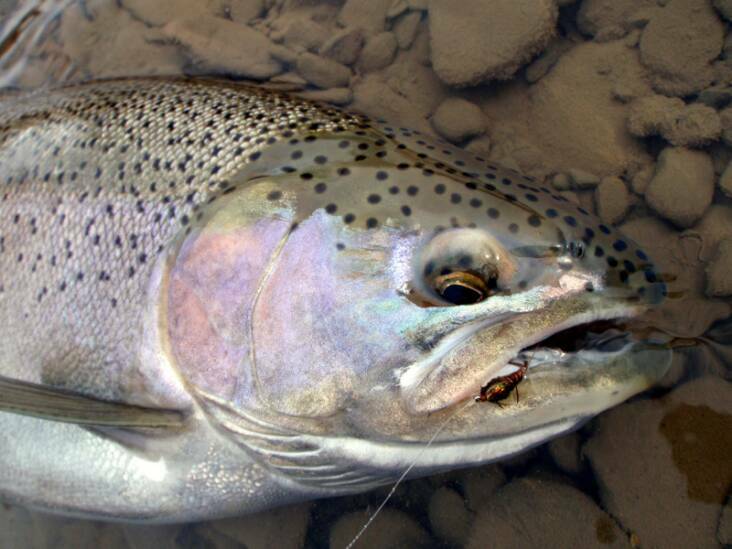 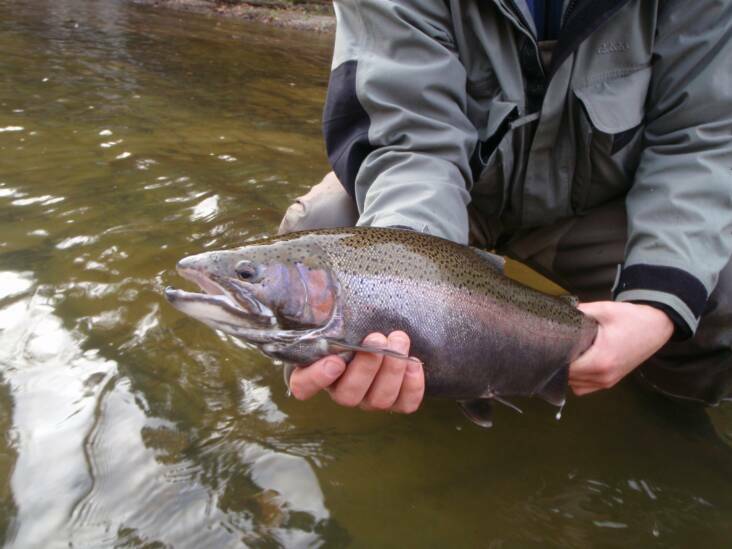 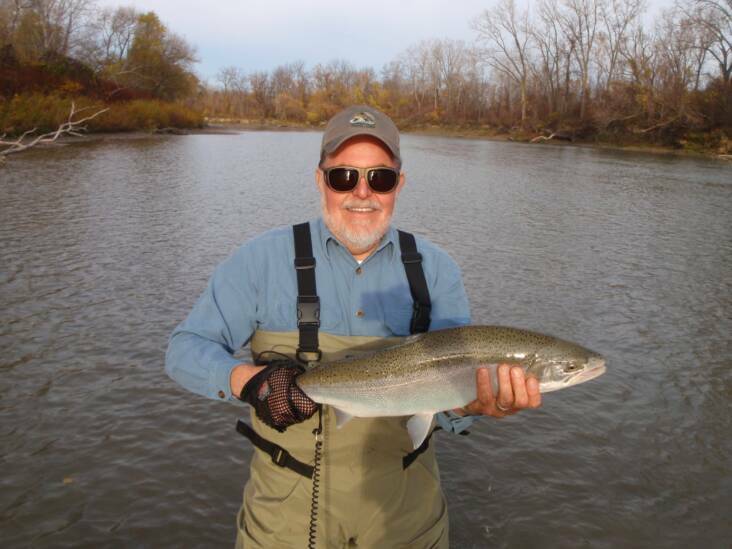 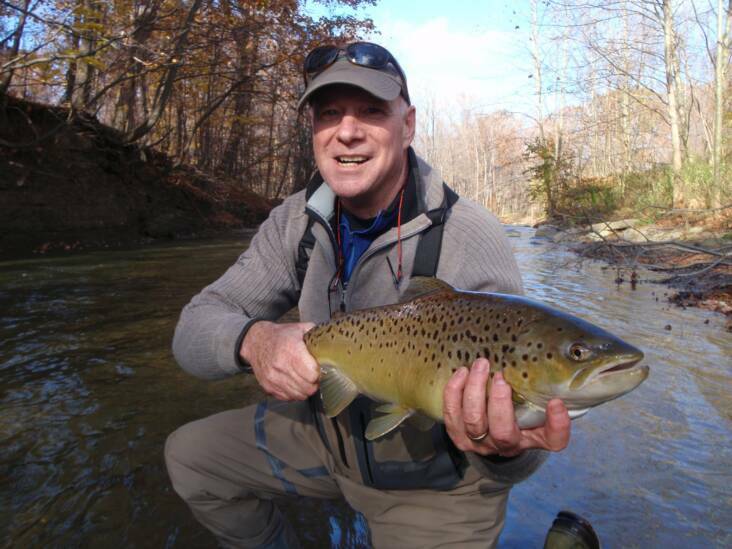 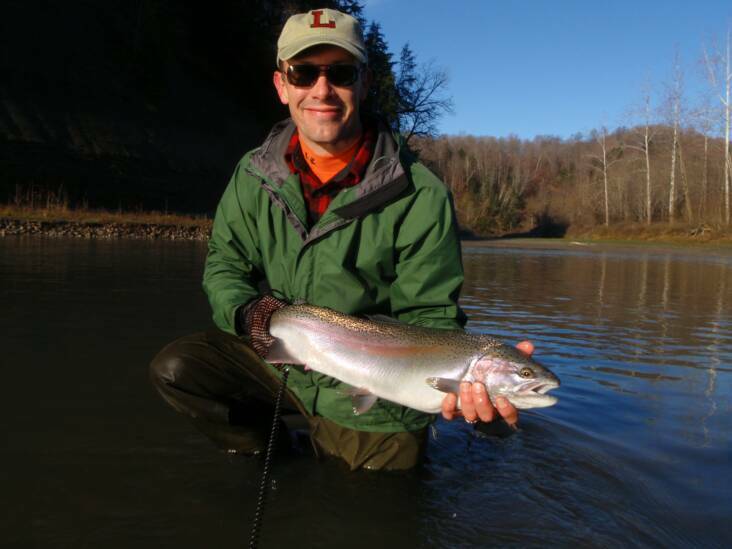 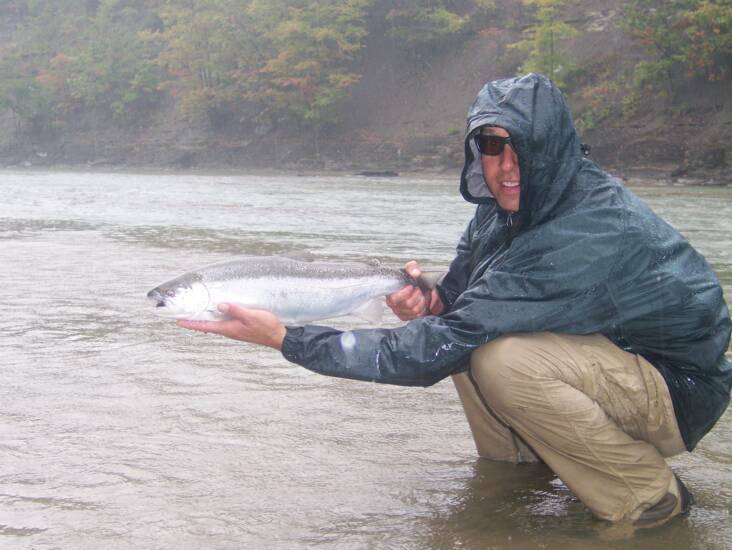 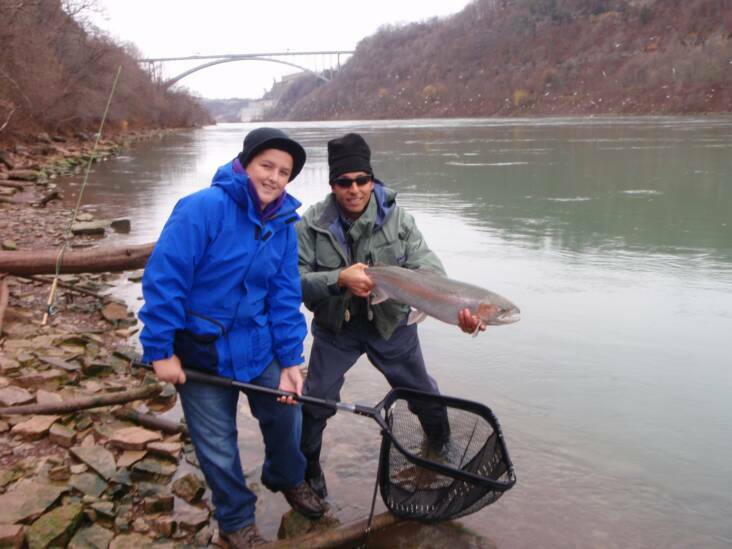 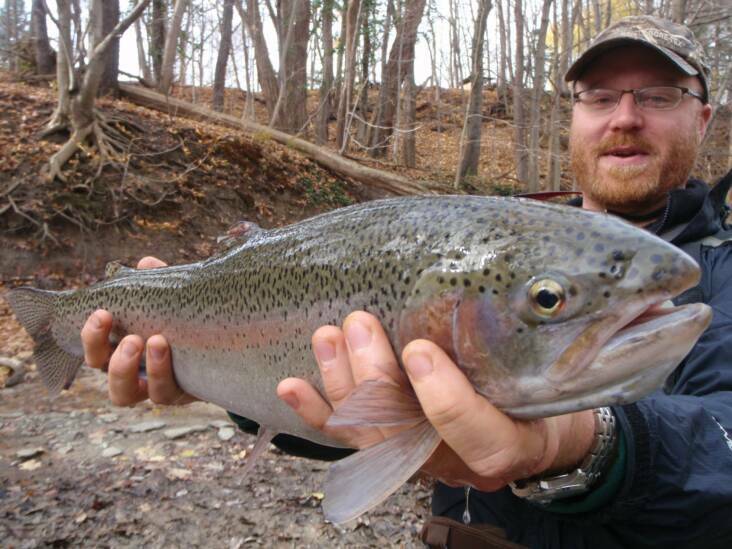 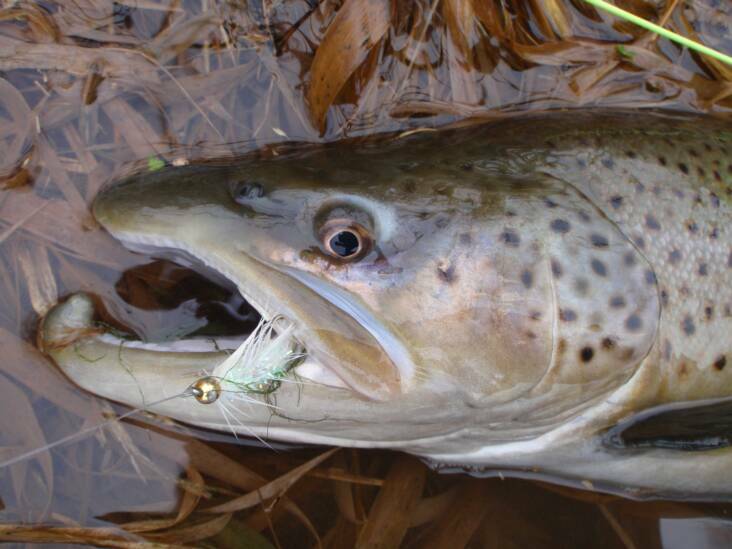 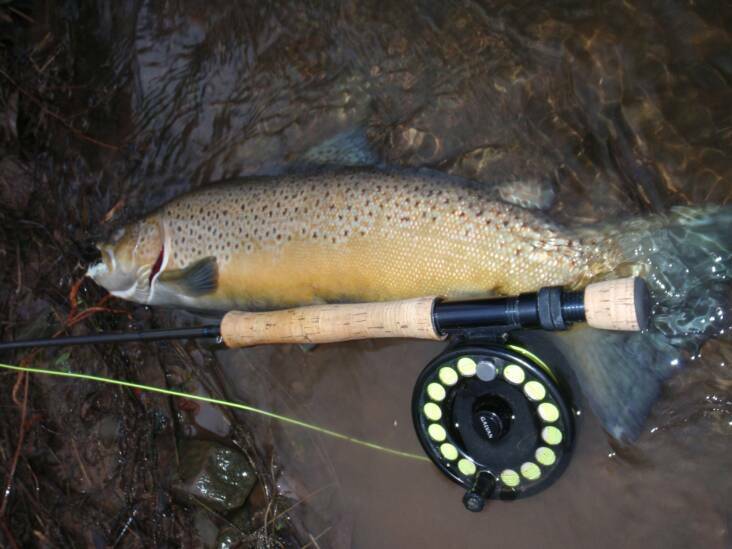 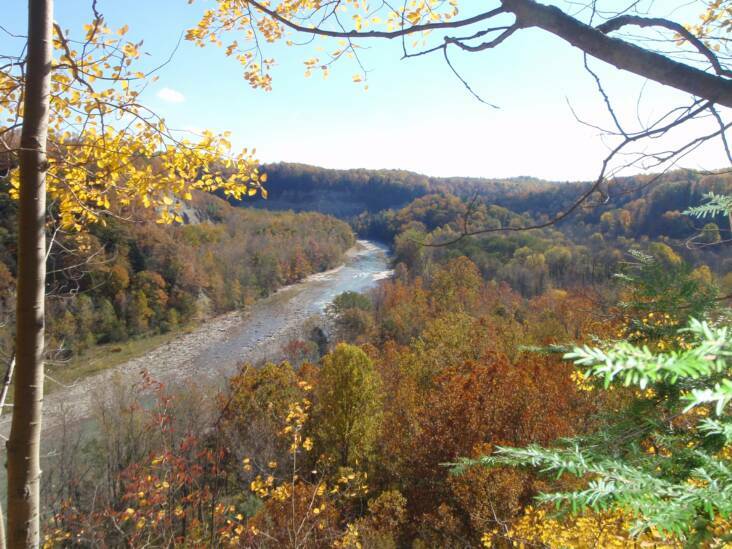 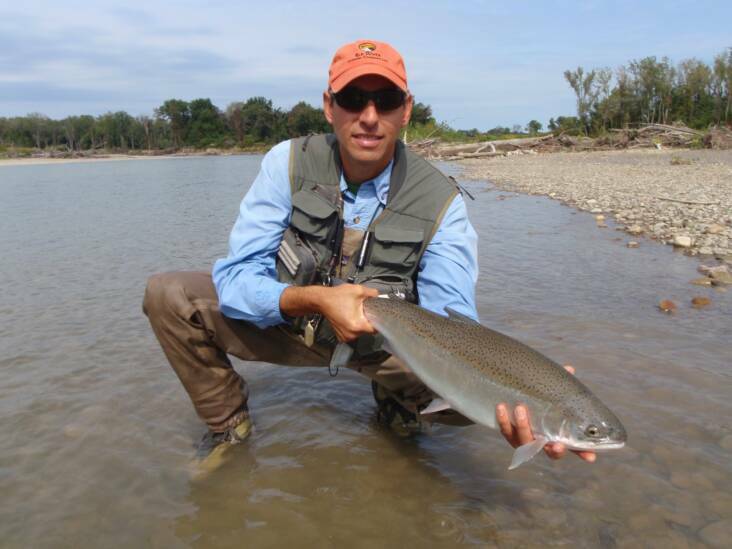 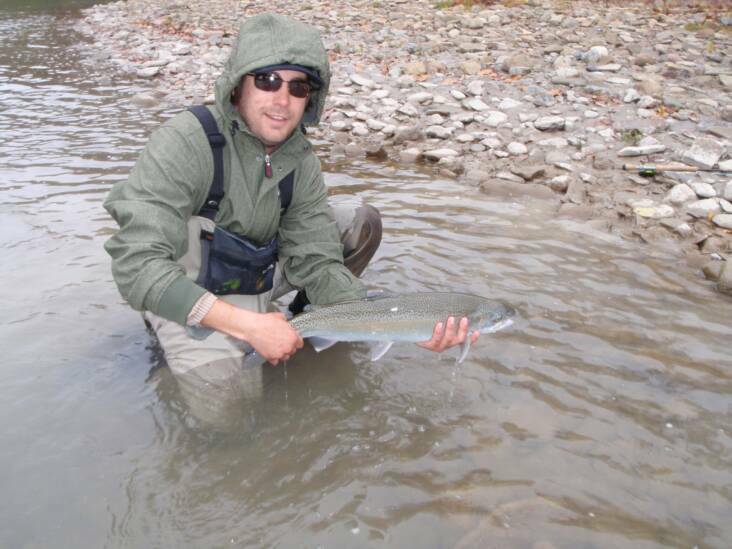 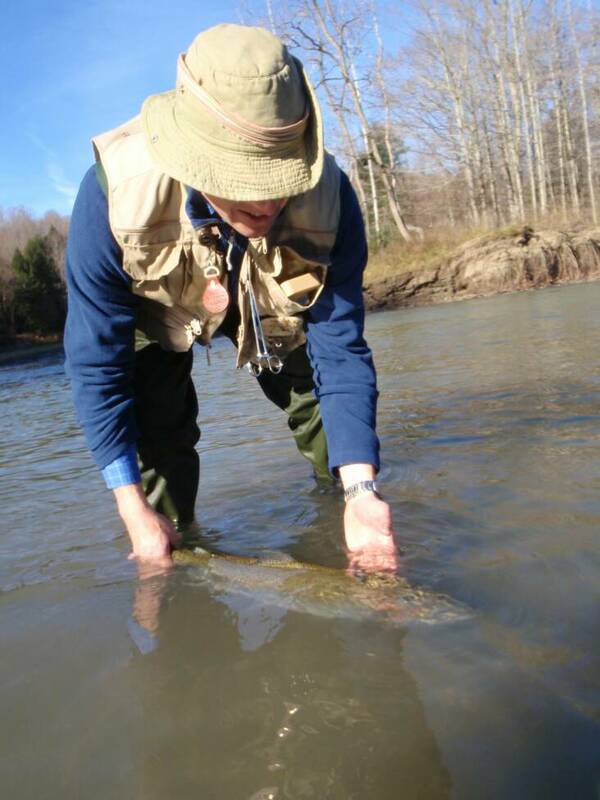 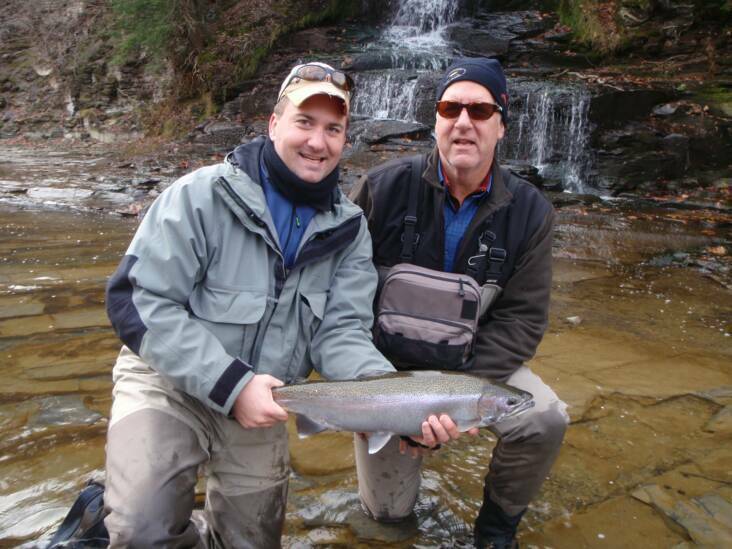 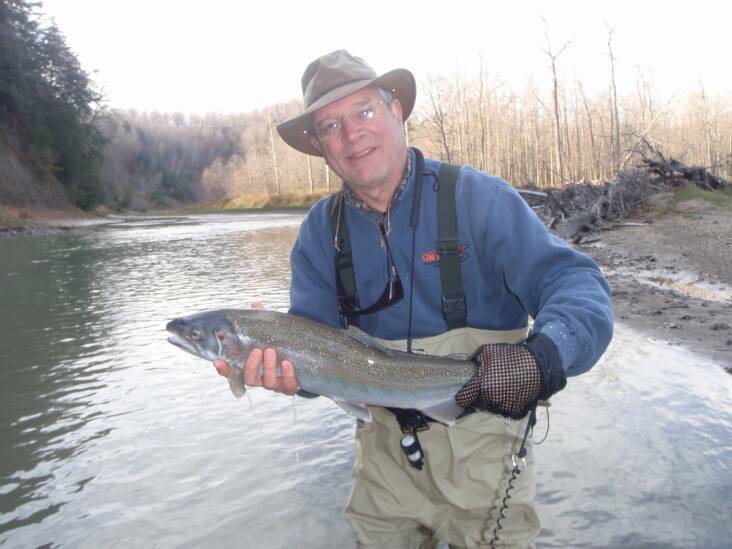 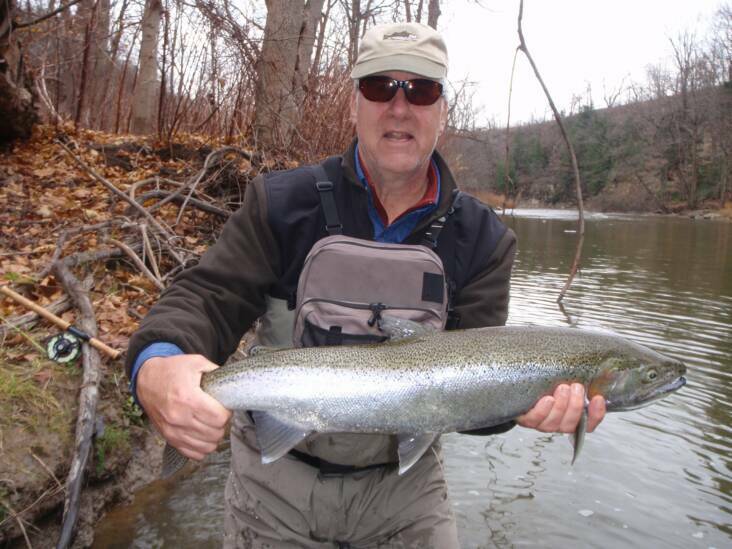 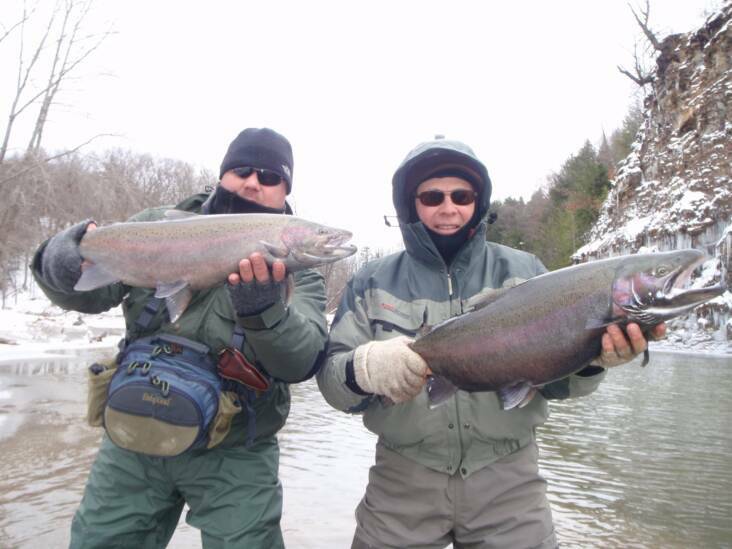 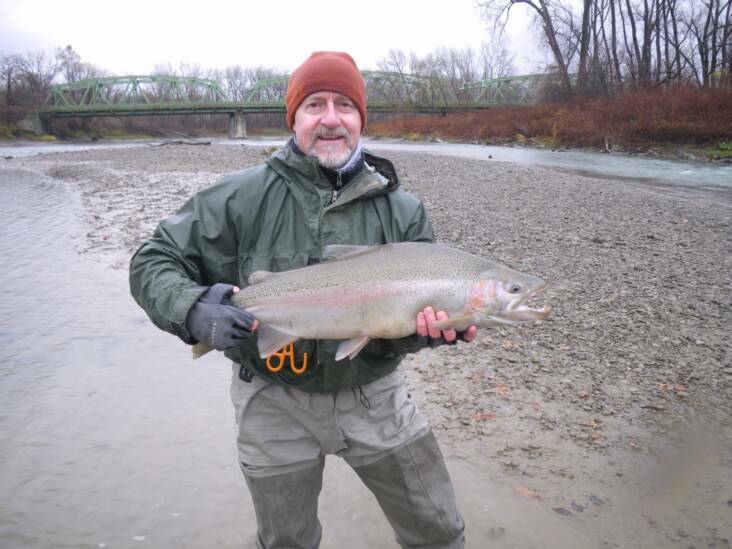 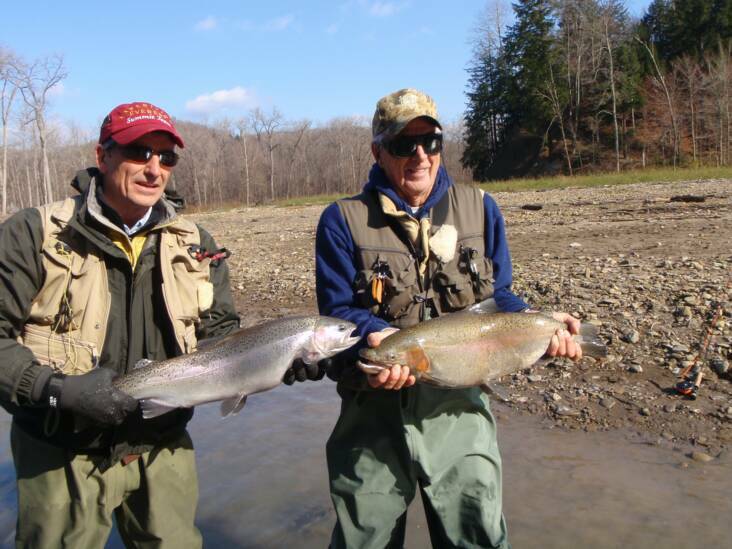 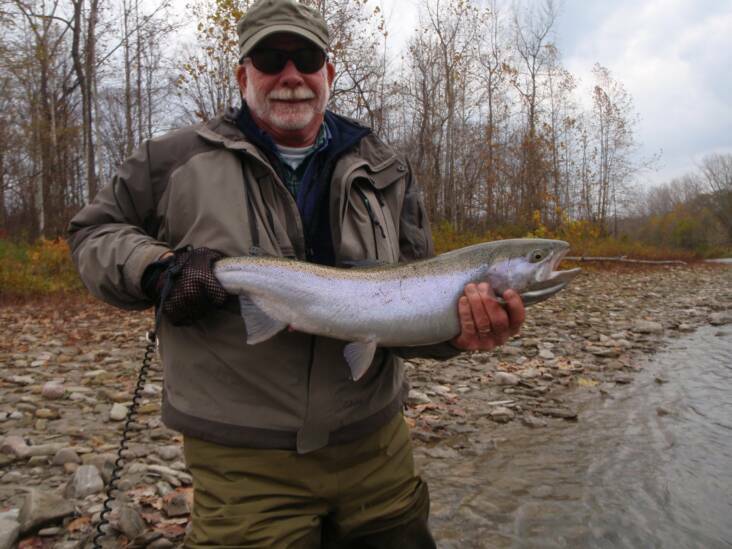 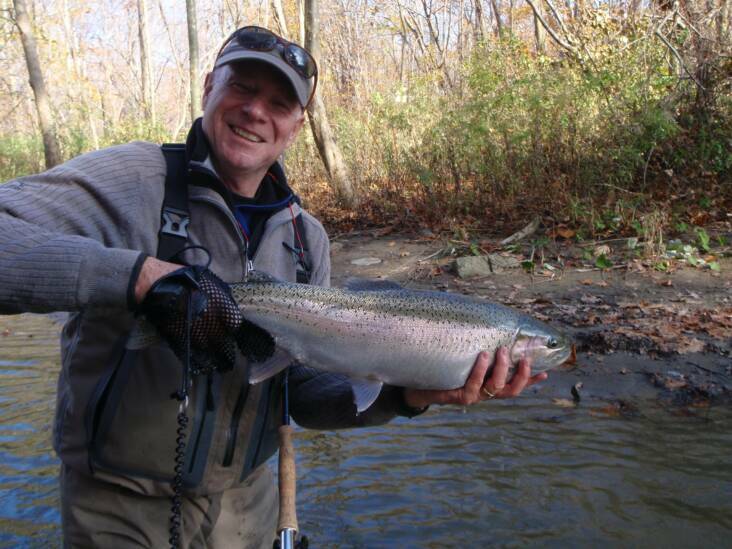 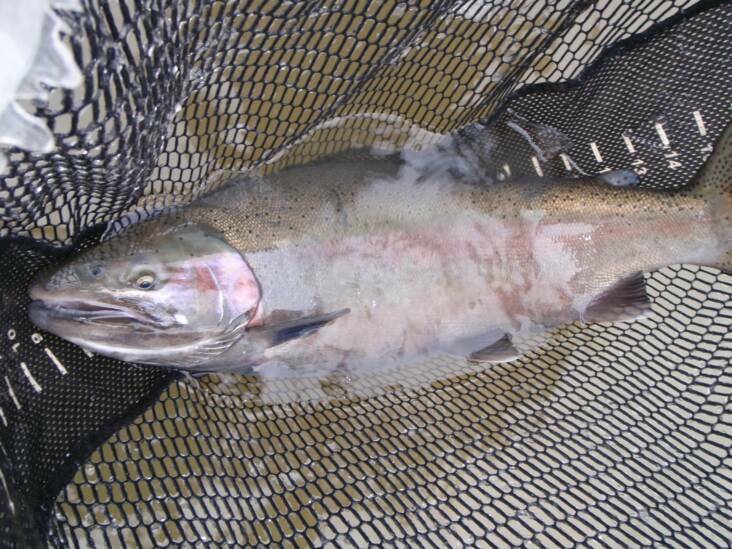 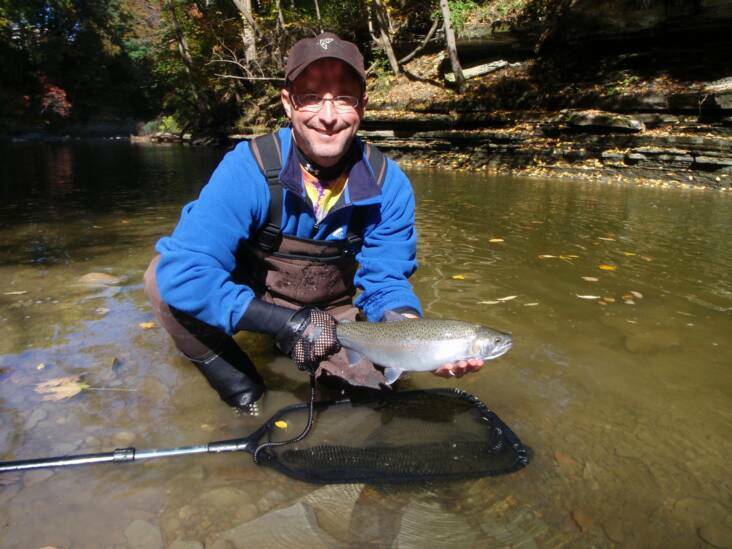 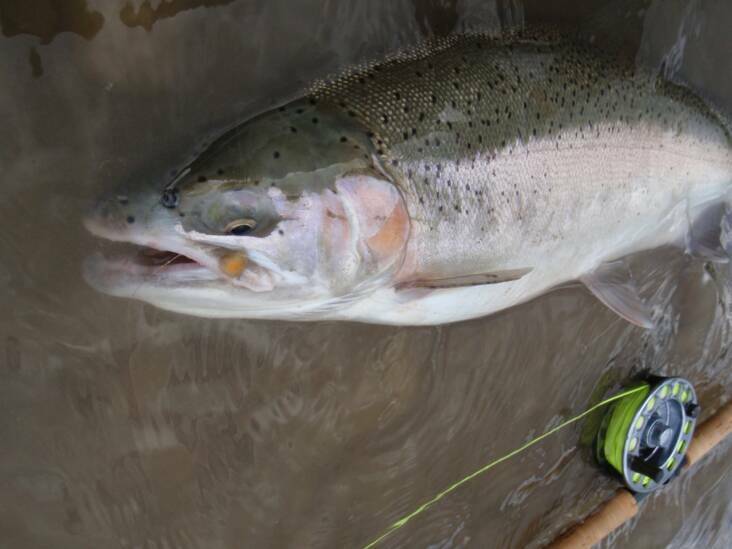 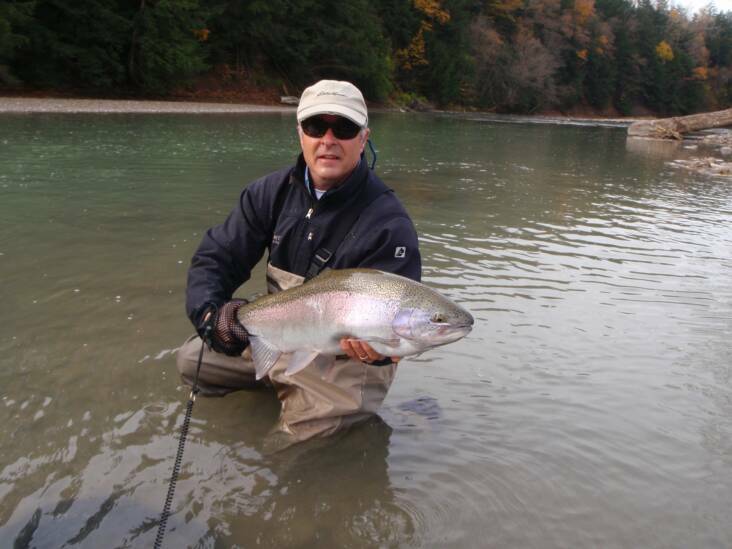 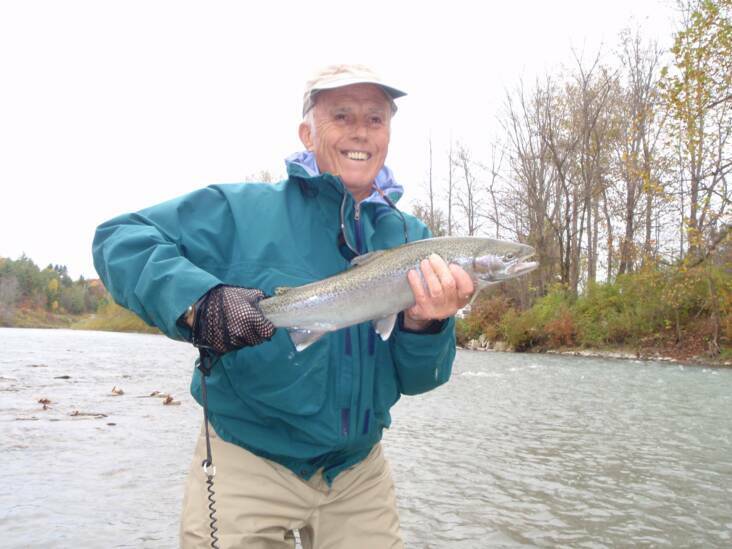 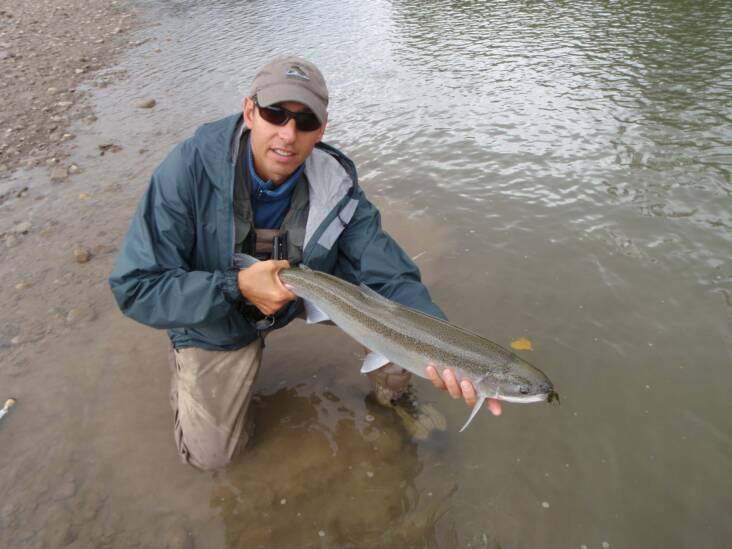 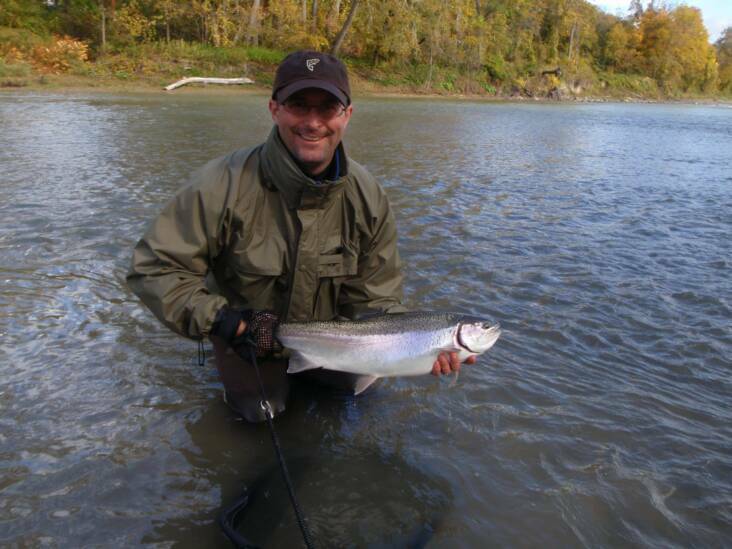 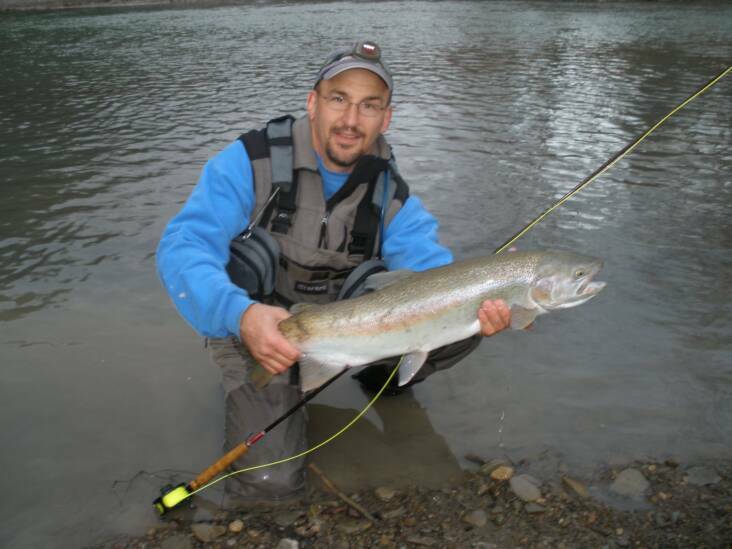 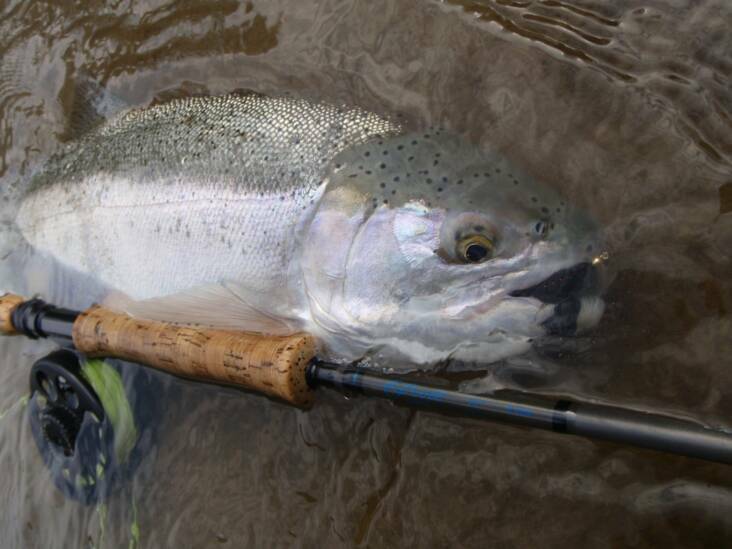 We should also be thankful for our excellent tributary fishing, despite the below average runs of steelhead the Lake Erie tribs experienced this year. 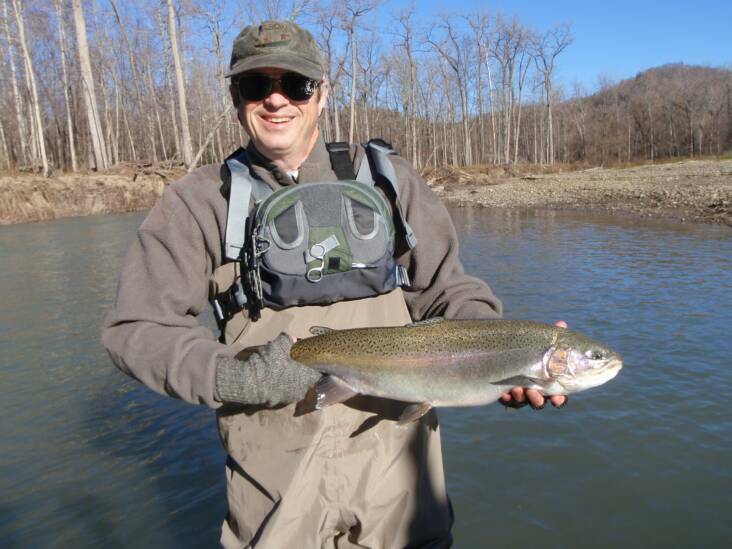 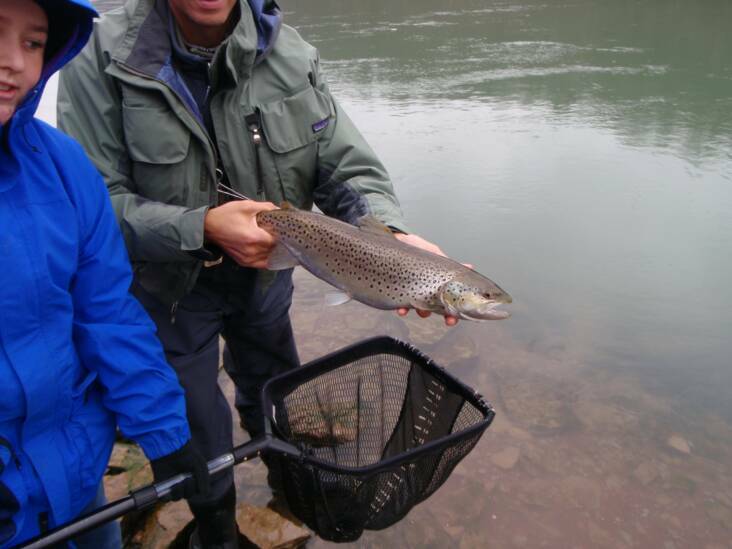 In less than an hour we can be fishing scenic, flowing water for rainbow trout that average 4-5 lbs, and can exceed 10 lbs! 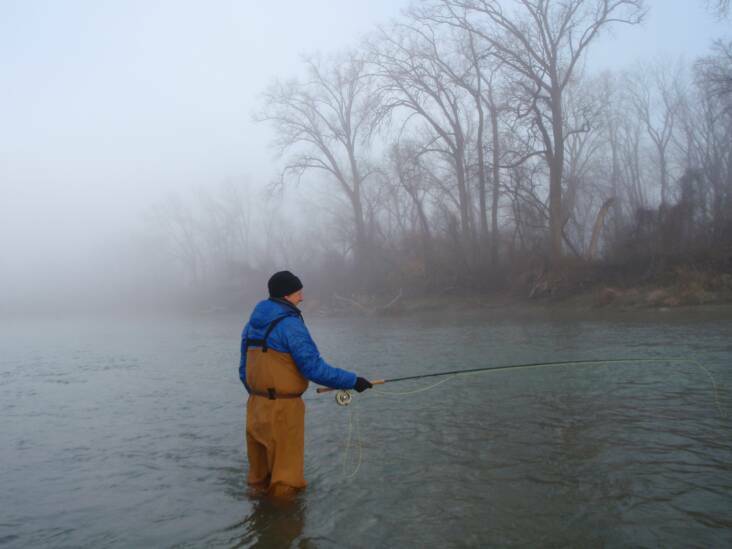 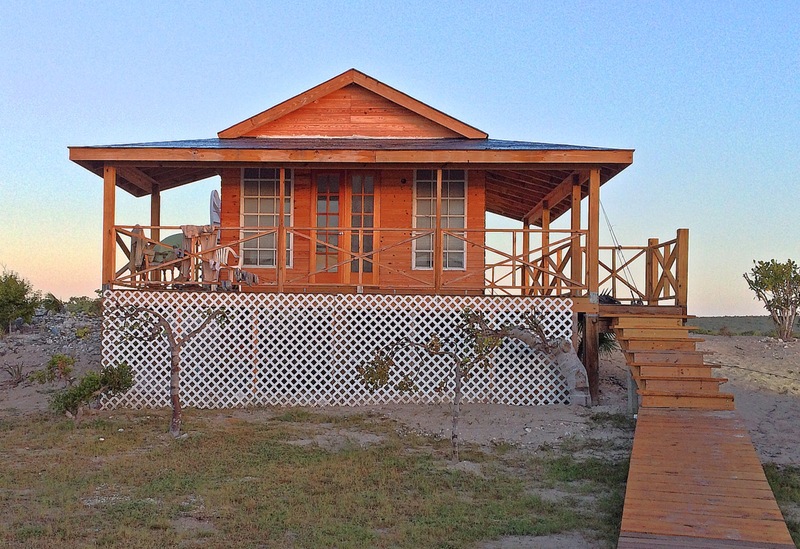 While at times, and in certain places, solitude is rarely found, at other times and in other places it can be found. 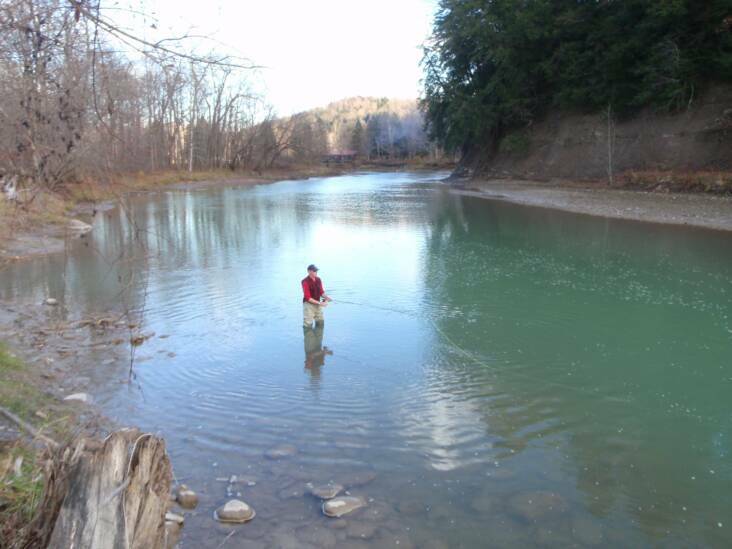 Even on the more popular streams, once in a while, there is solitude. 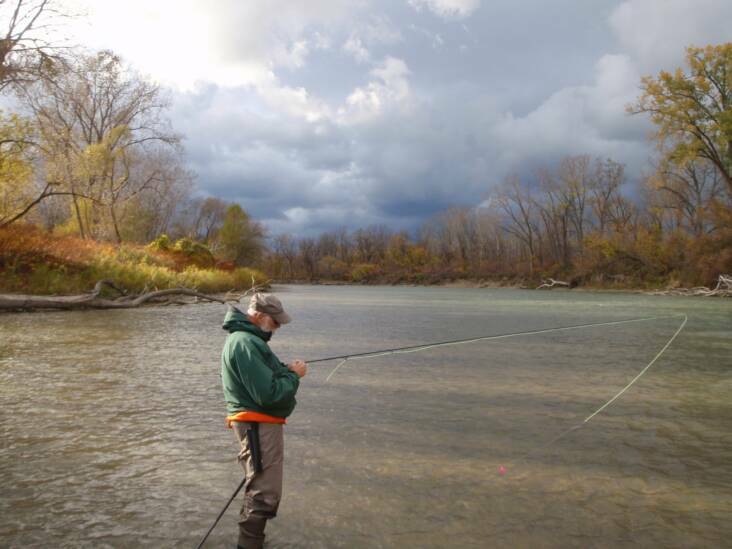 When solitude is lacking, sometimes it is nice being around other anglers to share conversation and maybe even make a new friend. 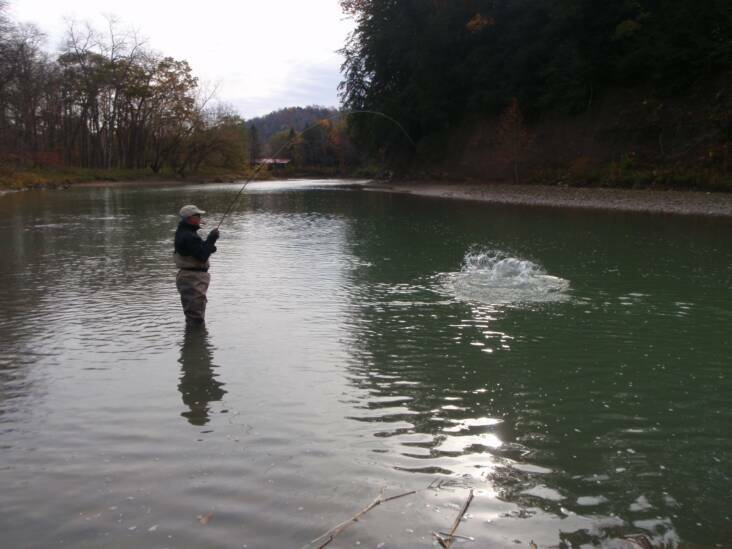 Or to share tactics, or a little bourbon. 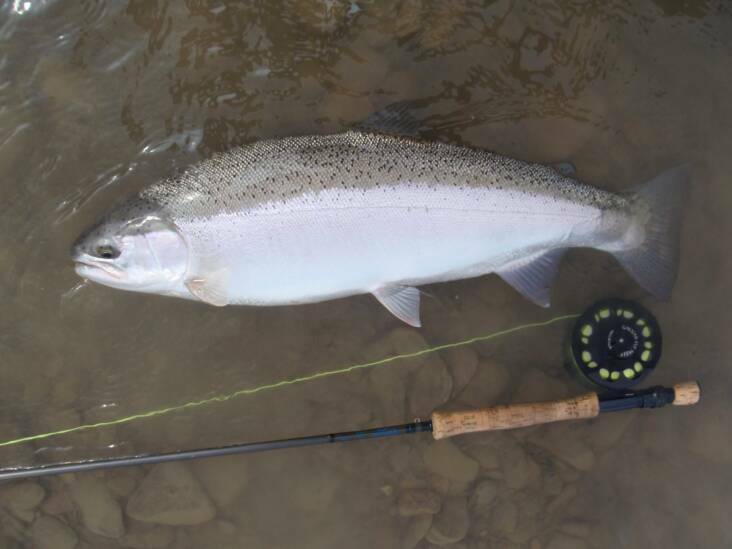 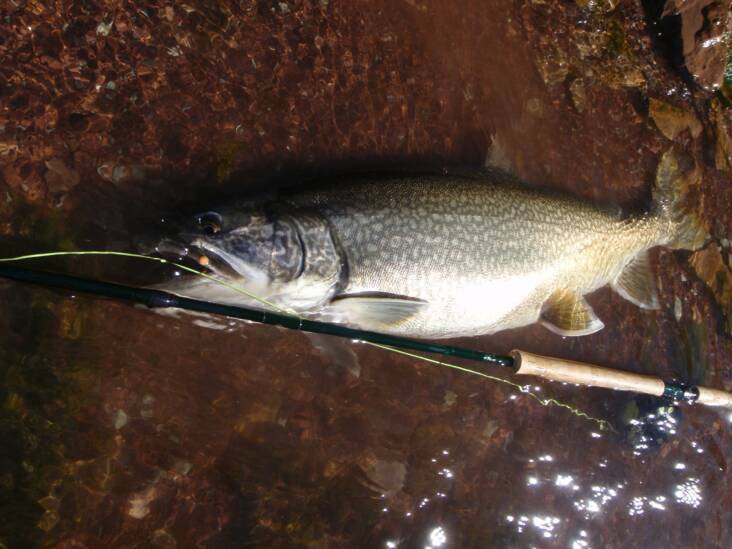 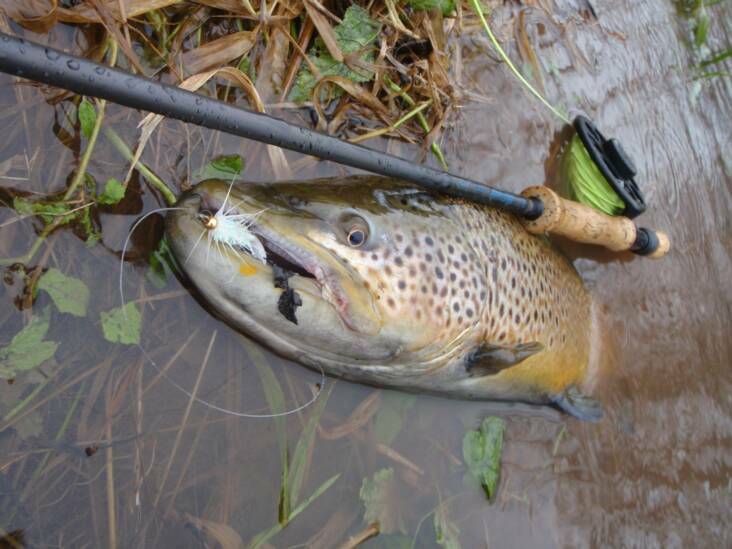 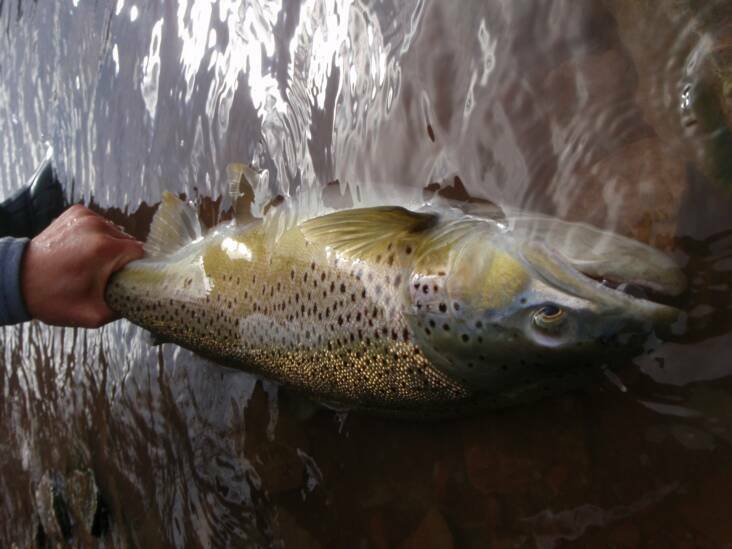 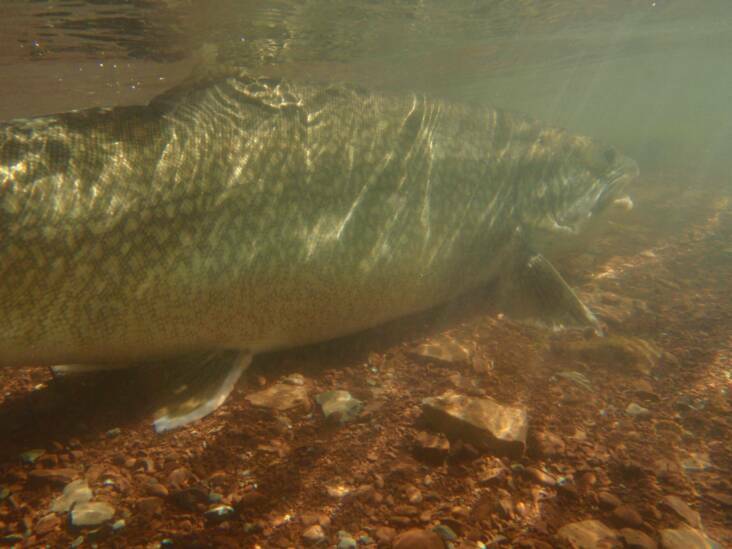 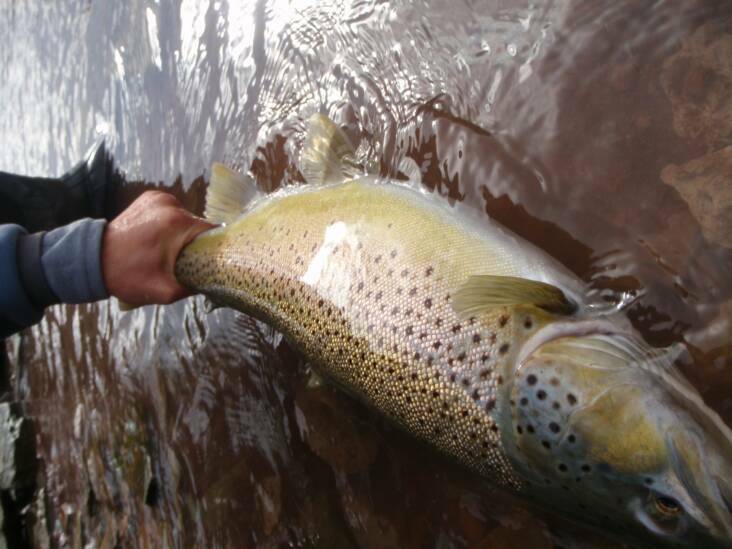 Just being out, with the chance to hook a large, beautiful & strong fish, is enough to lift "the weight" that Nick wrote about in his post a short time ago. 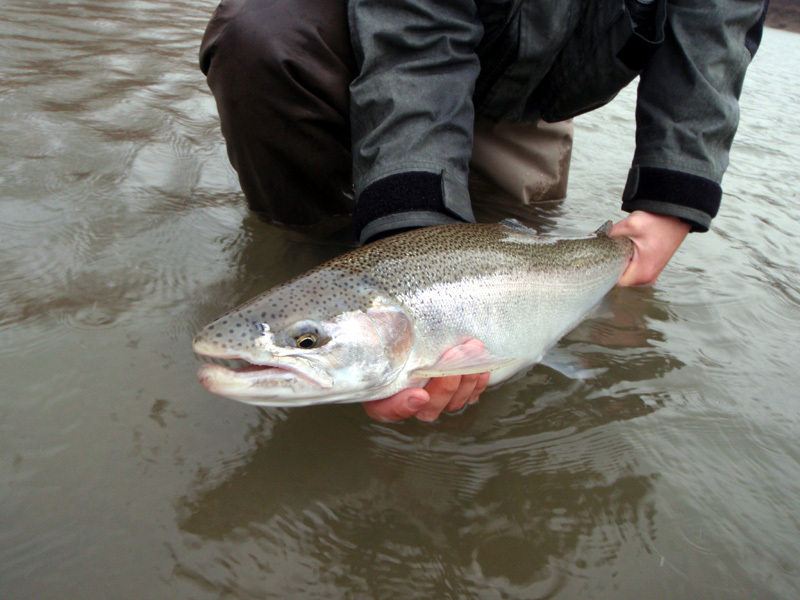 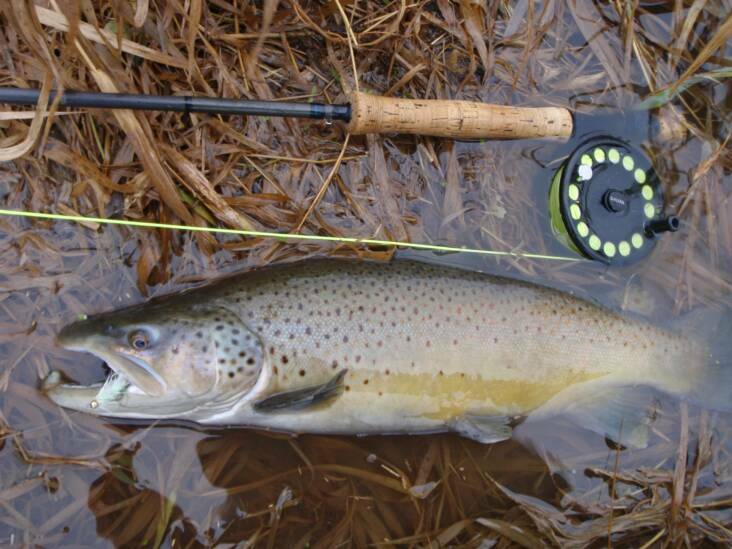 Because for most of us, it is more than just about catching. 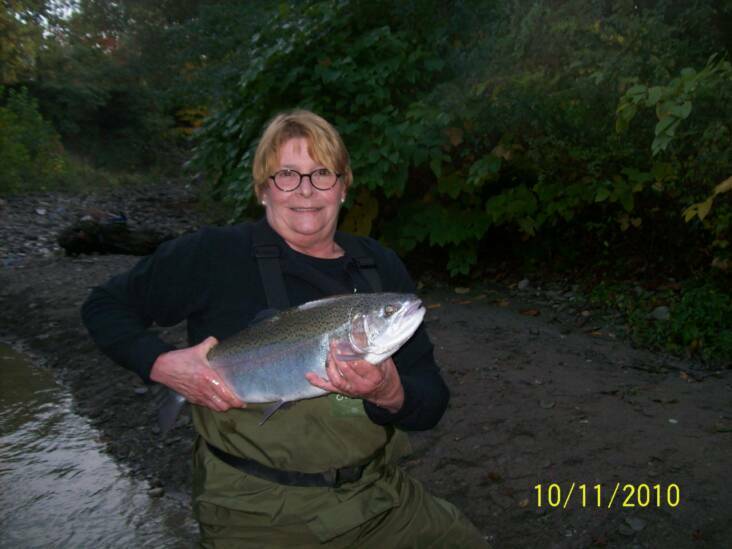 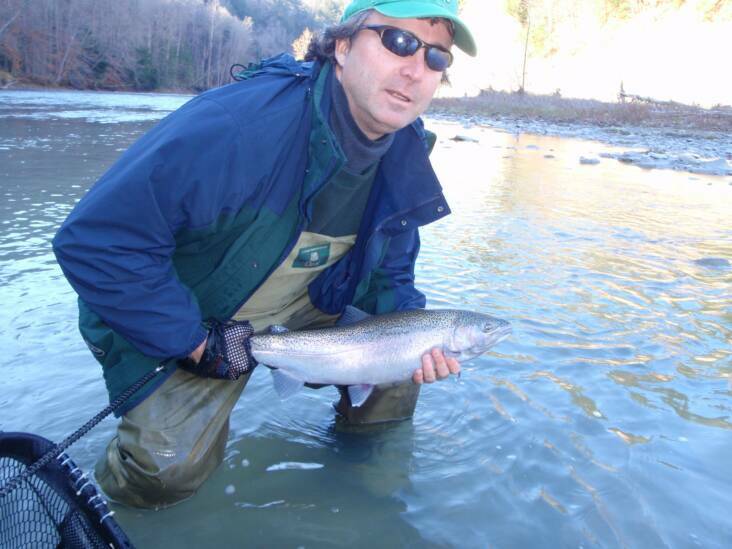 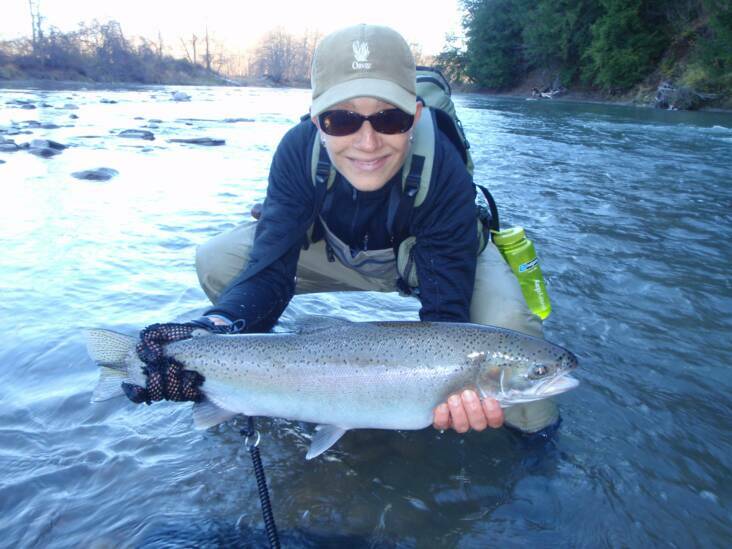 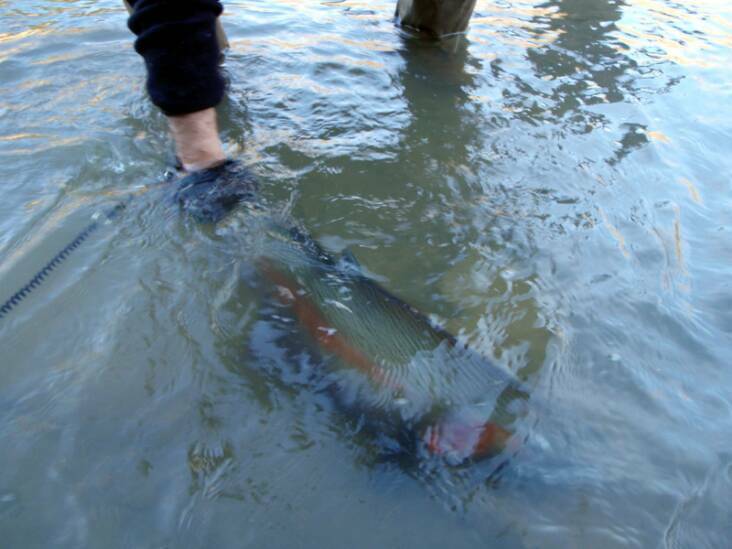 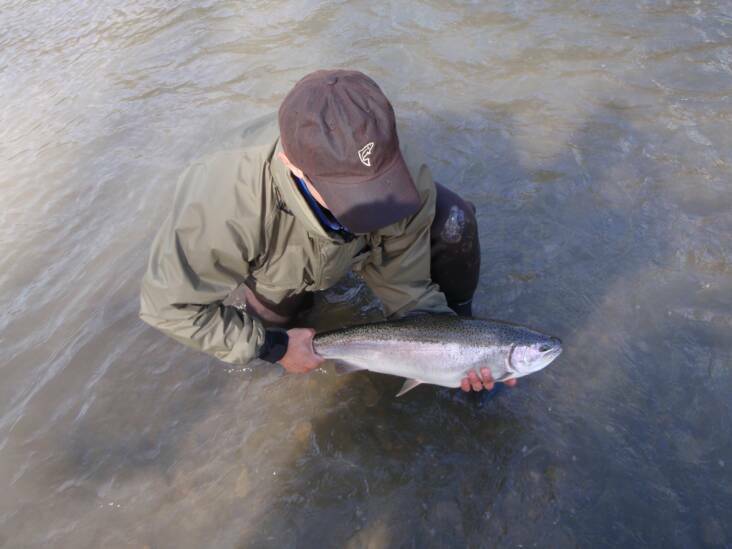 It's the thrill of the chase, the hope that a fish will take, the tug on the end of your line, and maybe the close up look and feel of a beautiful, stream born steelhead, and of course the satisfaction that she was released unharmed, to fight another day. 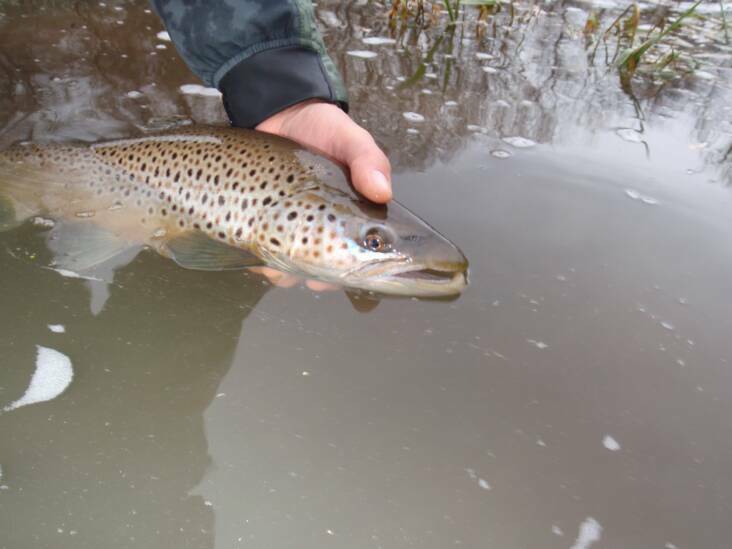 And as Nick said, it's about much more than this. 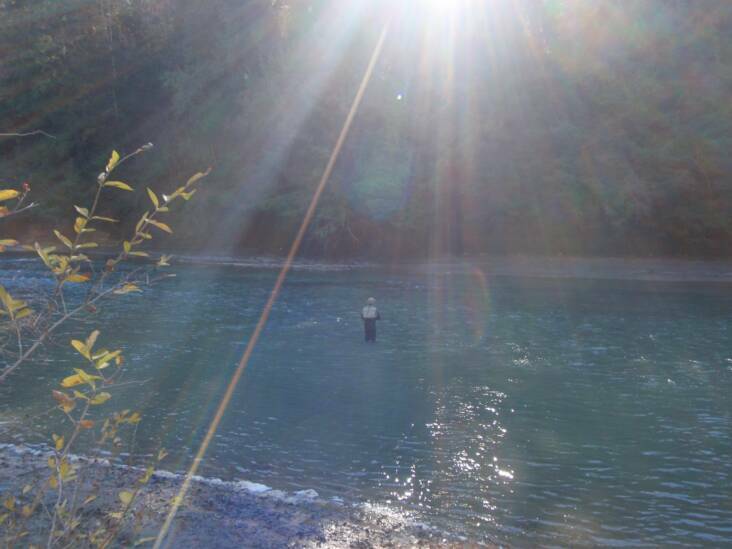 Nature, friends and sharing memories. 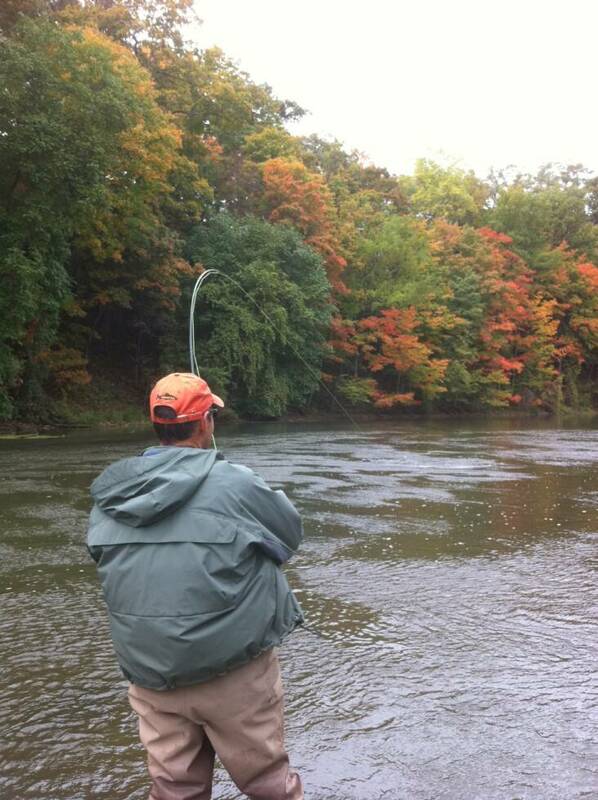 And doing something you love, knowing that there is no other place you'd rather be than where you are right then.